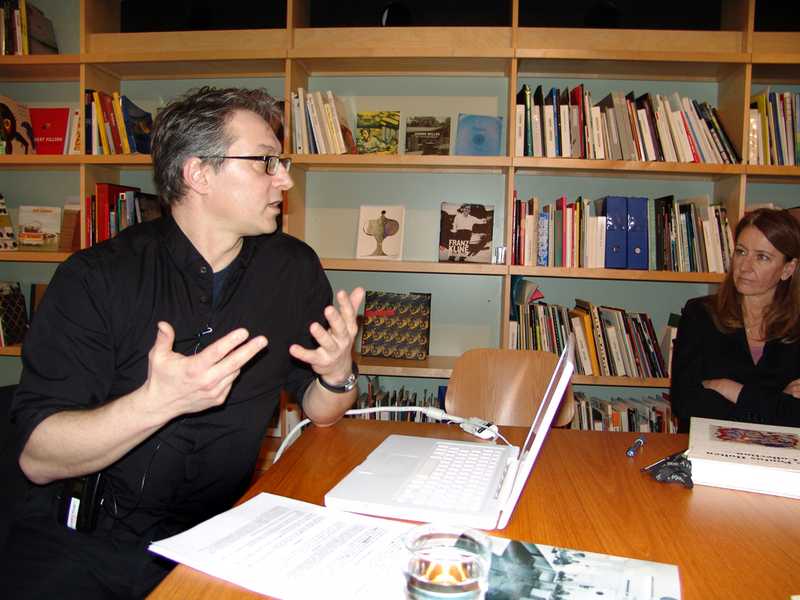 With Anouk Lederlé, Art menager. 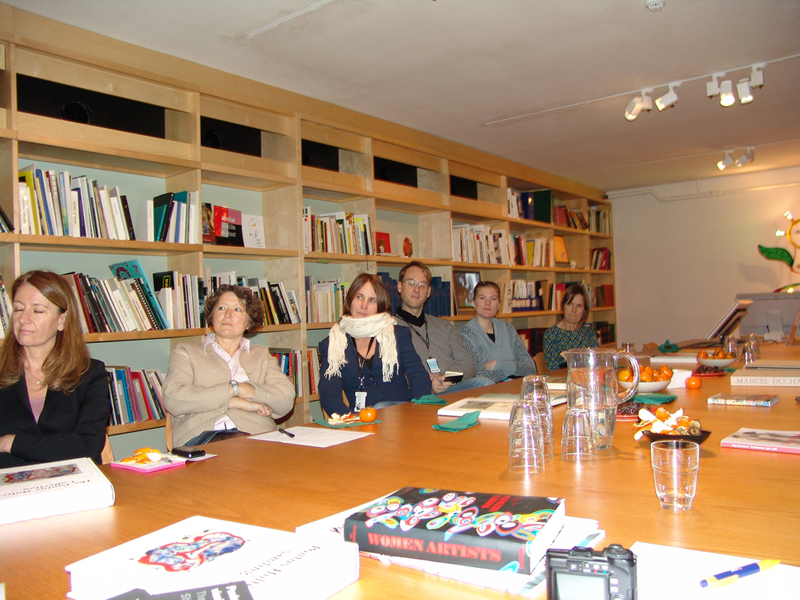 In: The Cultural Center of Republic of Serbia, Paris, France. 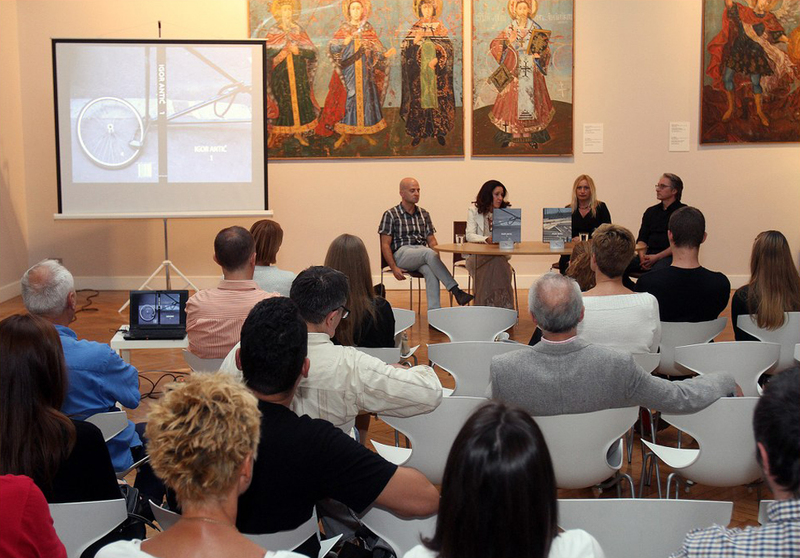 Supported by The Ministry of Culture and Media of the Republic of Serbia. 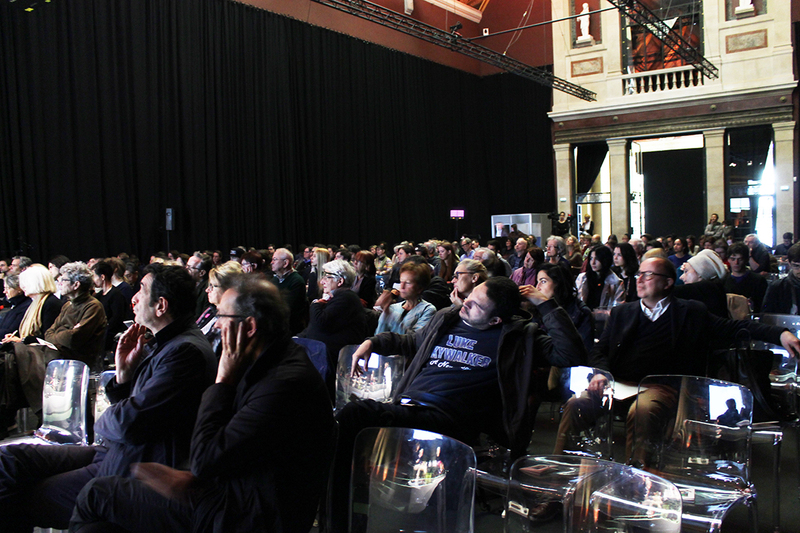 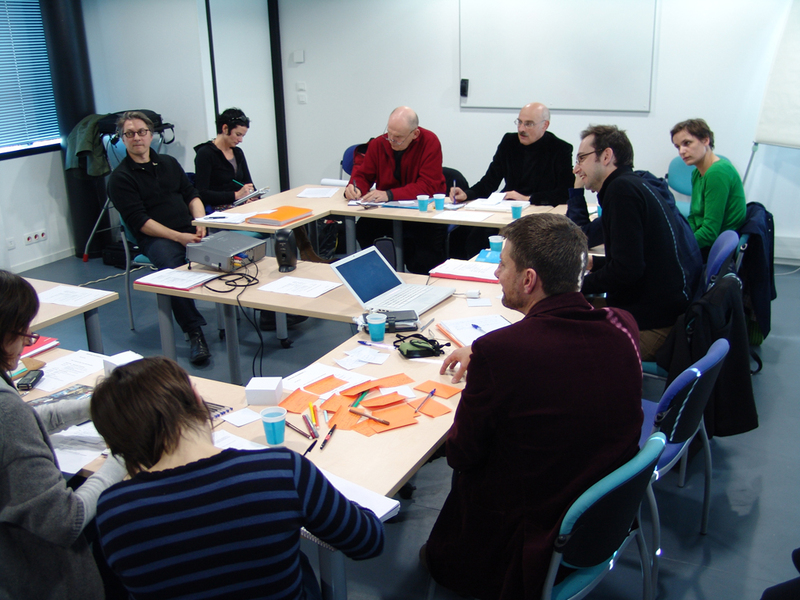 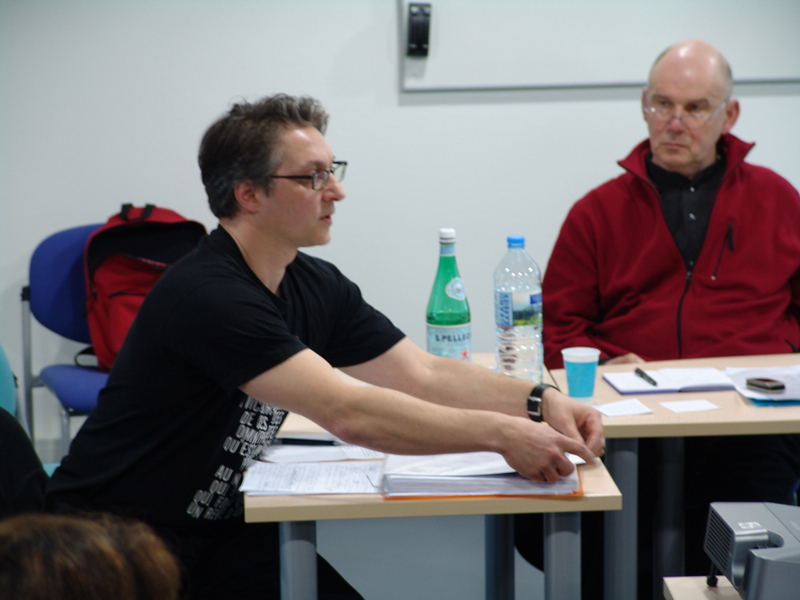 Participants: Bernard Bazile & Igor Antic, Cécile Bernard, Frère Marc Chauveau, Brian O’Doherty, Clélia Zernik, Zheng Guogu, Philippe Méaille, Catherine David, Andreï Erofeev, Saâdane Afif, Bernard Blistère, Philippe Comar, Cécile Debray, Michel Gauthier, Elsa Sahal, Bertrand Lavier, Monte Laster & FACE, Denys Riout, Marie José Burki, Geoffroy de Lagasnerie, Matthieu Laurette, Steven Henry Madoff and Otobong Nkanga. 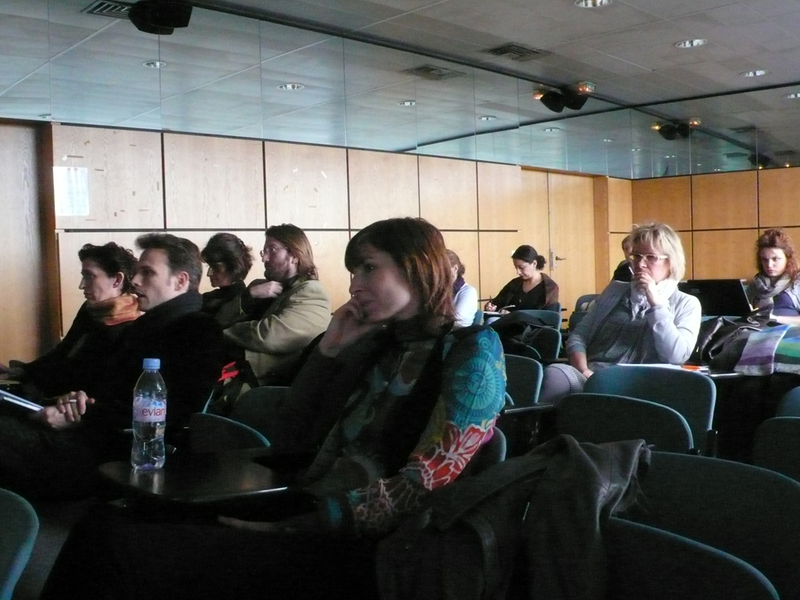 In: Palais des Beaux-Arts and Centre Pompidou, Paris. 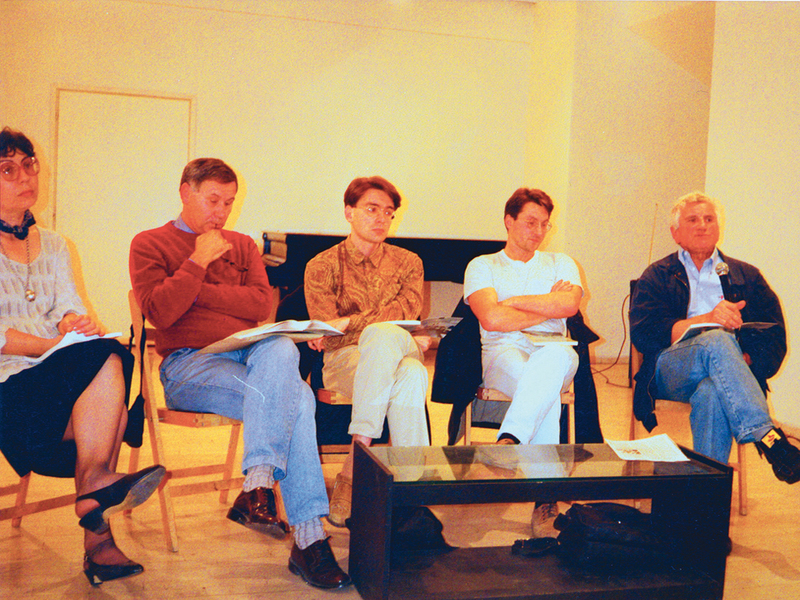 Lecture by Igor Antić, Ulrike Kessl, Sanja Kojić Mladenov and Selman Trtovac. 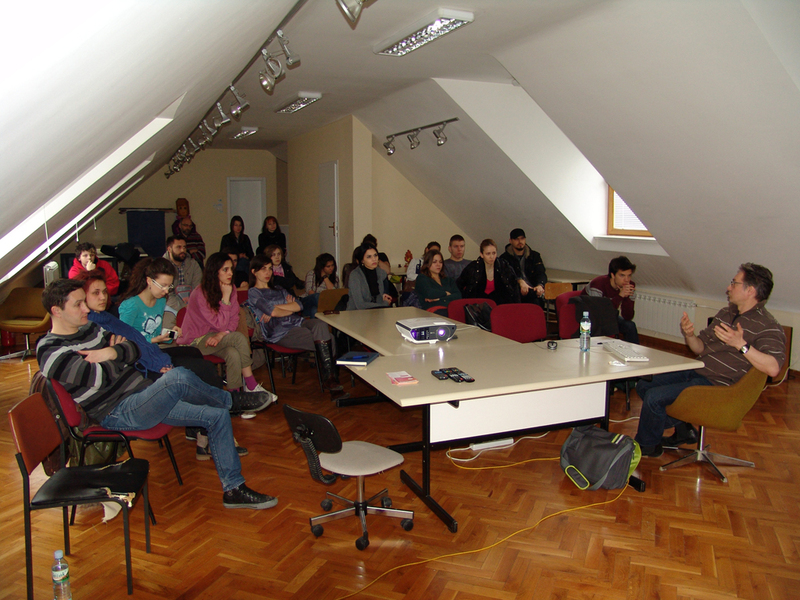 In: Goethe-Institut Serbien, Belgrade, Serbia. 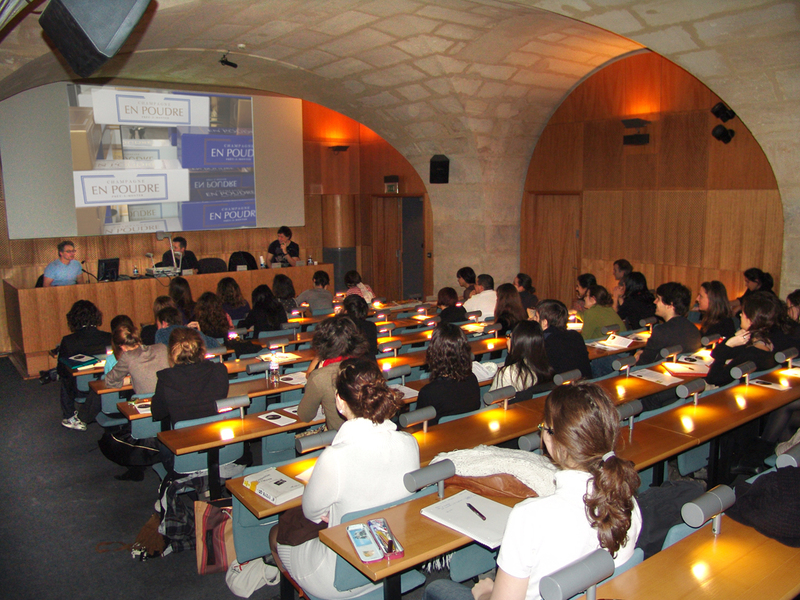 In: The Paris – Dauphine University, Paris, France. 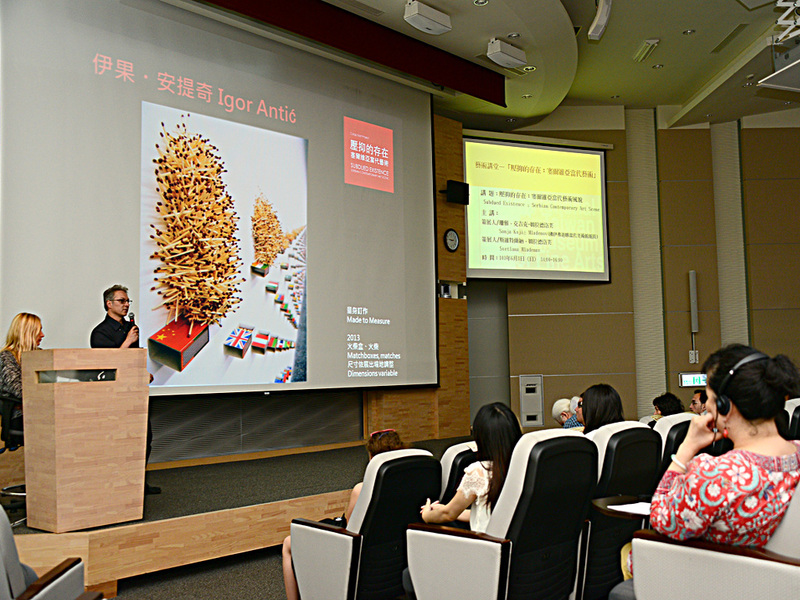 In: The Taichung National Museum of Fine Arts. 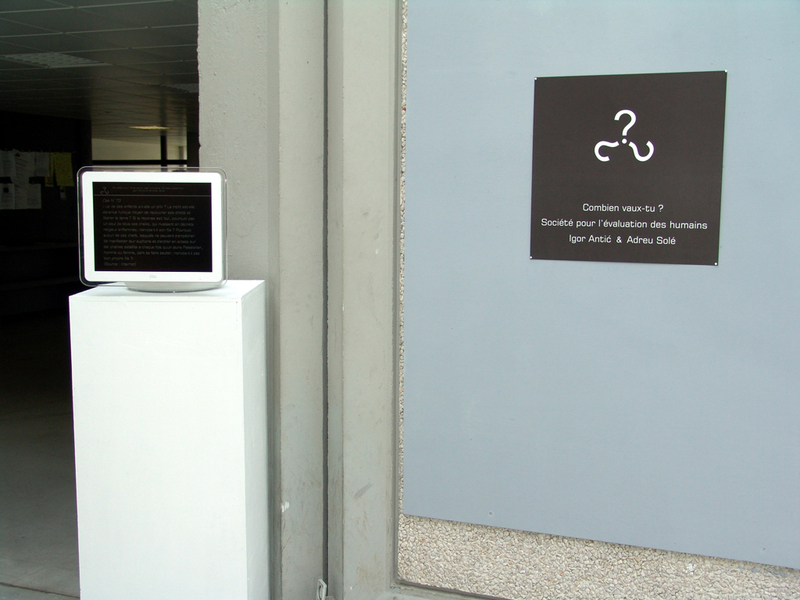 Taichung, Taiwan. 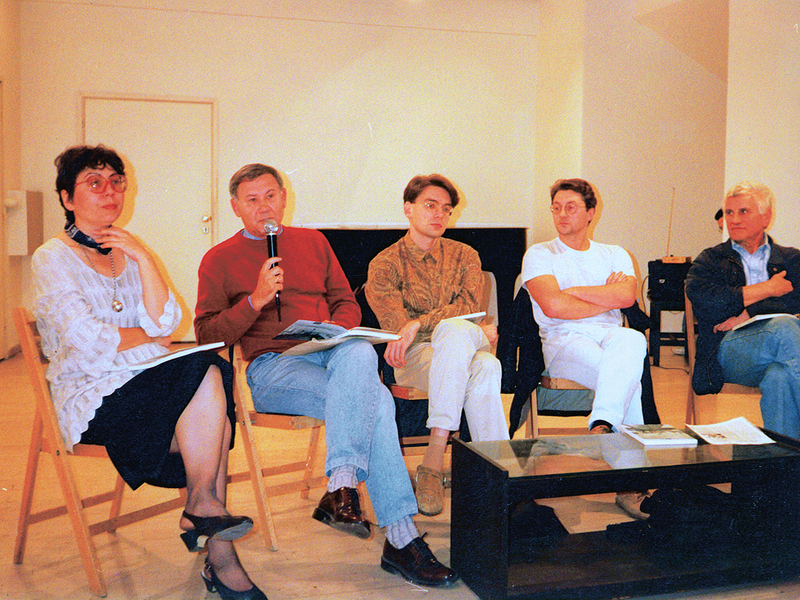 With Igor Antić, Sanja Kojić Mladenov, Sunčica Lambic Fenjčev and Vladan Savić (Stylos Art). 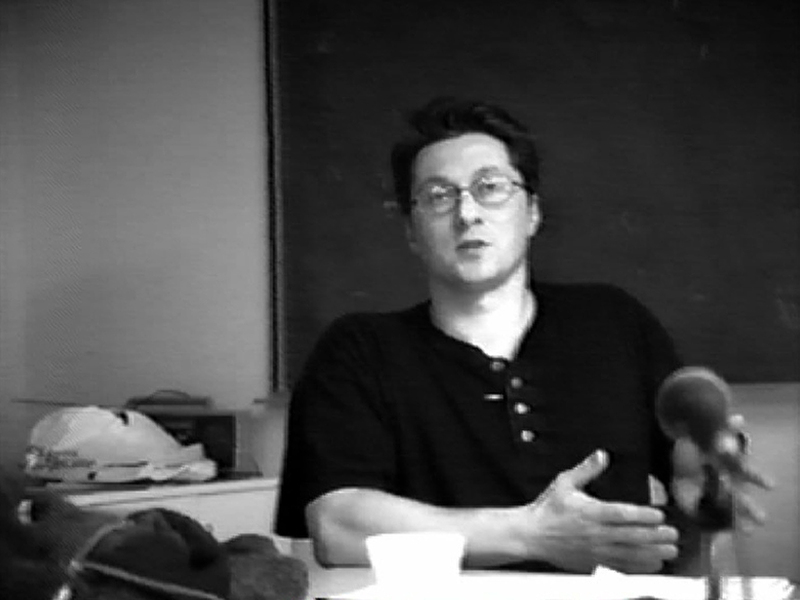 Organized by Branislav Grubački Guta. 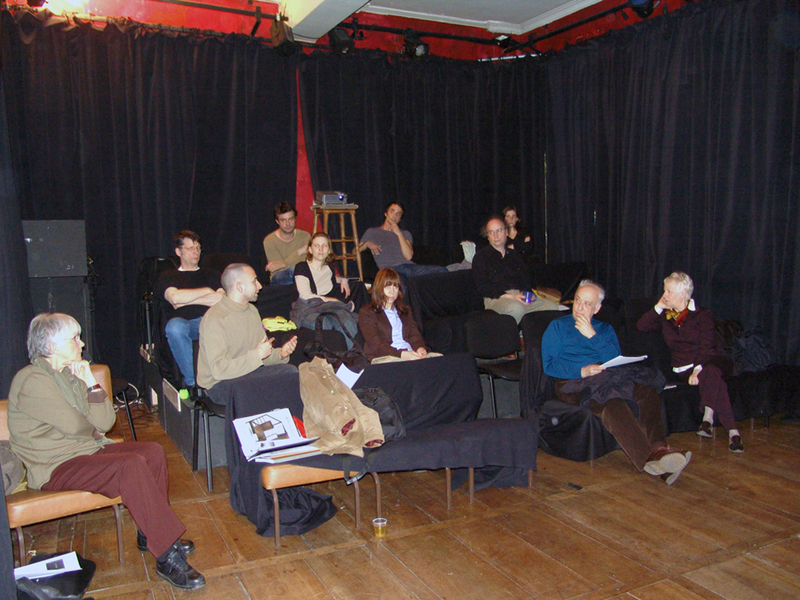 In: The Zeleno zvono Club, Zrenjanin, Serbia. 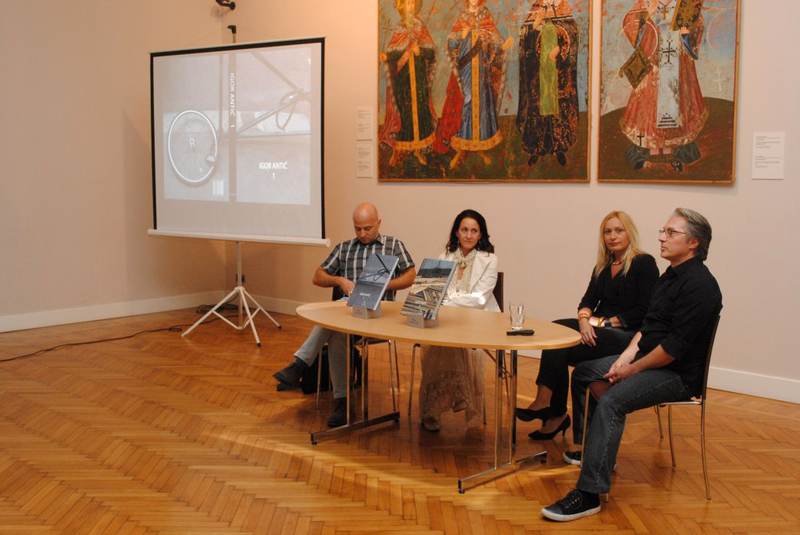 With Igor Antić, Sanja Kojić Mladenov, Tijana Palkovljević Bugarski and Vladan Savić (Stylos Art). 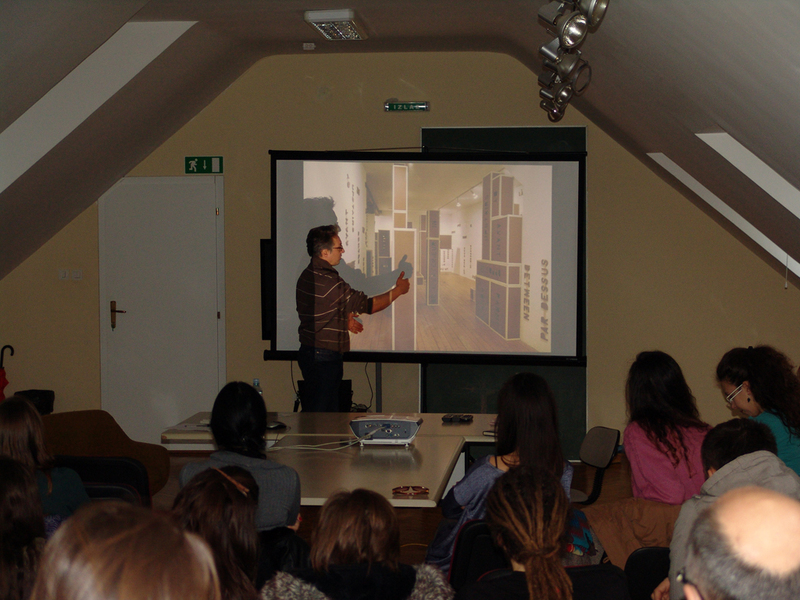 In: The Gallery of Matica srpska, Novi Sad, Serbia. 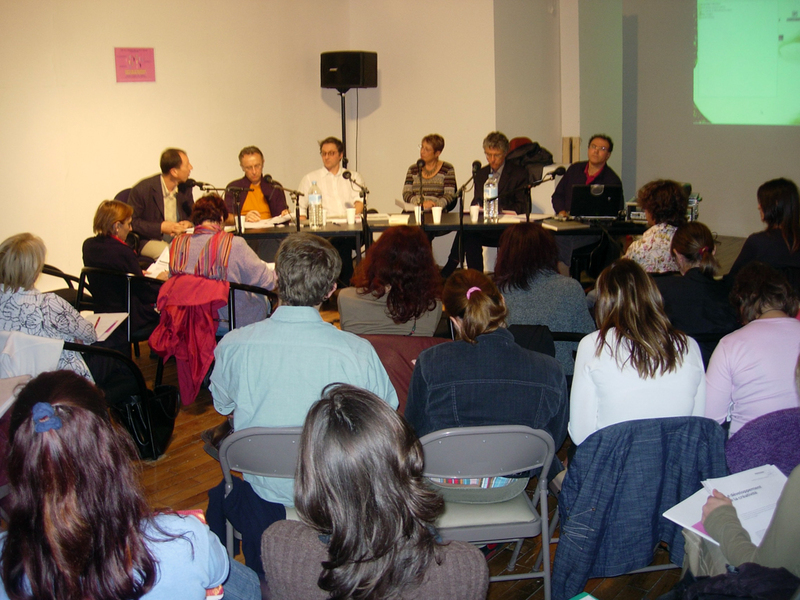 Production: Goethe-Institut Belgrad, L’Institut français de Serbie & MSUV, Novi Sad. 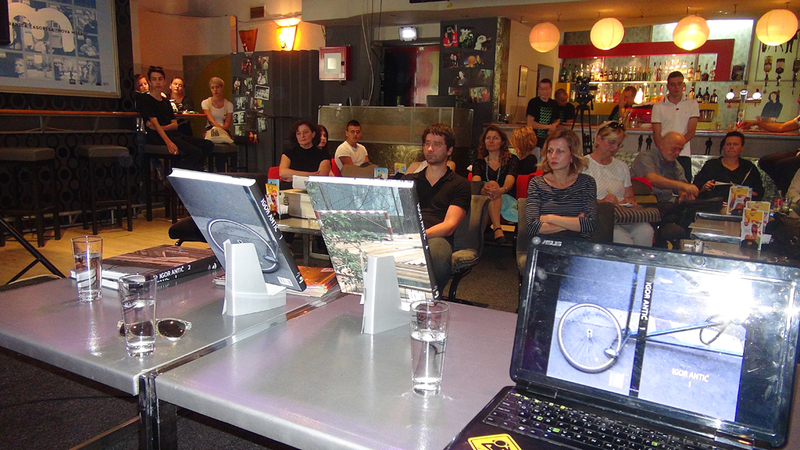 In: Magacin, KM8, Belgrade, Serbia. 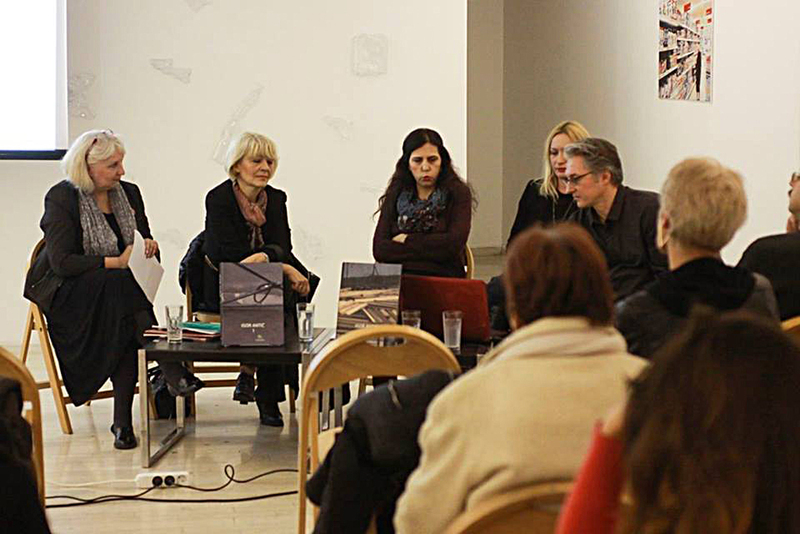 With Igor Antić, Sanja Kojić Mladenov, Katarina Radulović, Gordana Dobrić and Stana Šehalić (Stylos Art). 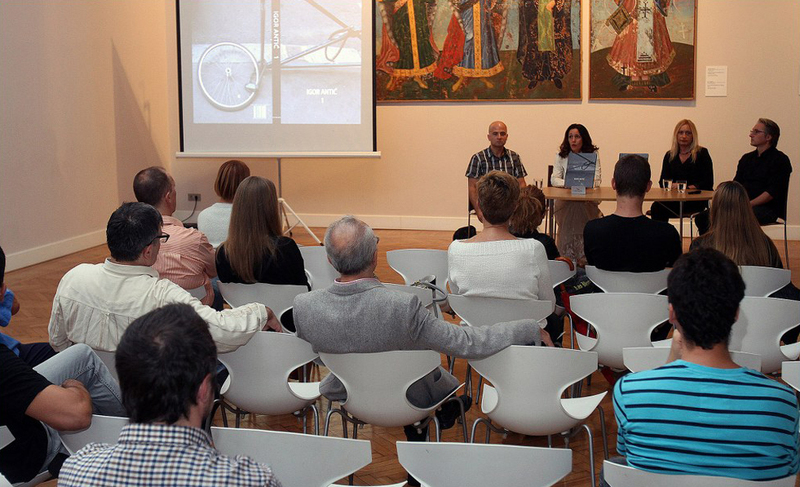 In: The Gallery of the Cultural Centre of Belgrade, Belgrade, Serbia. 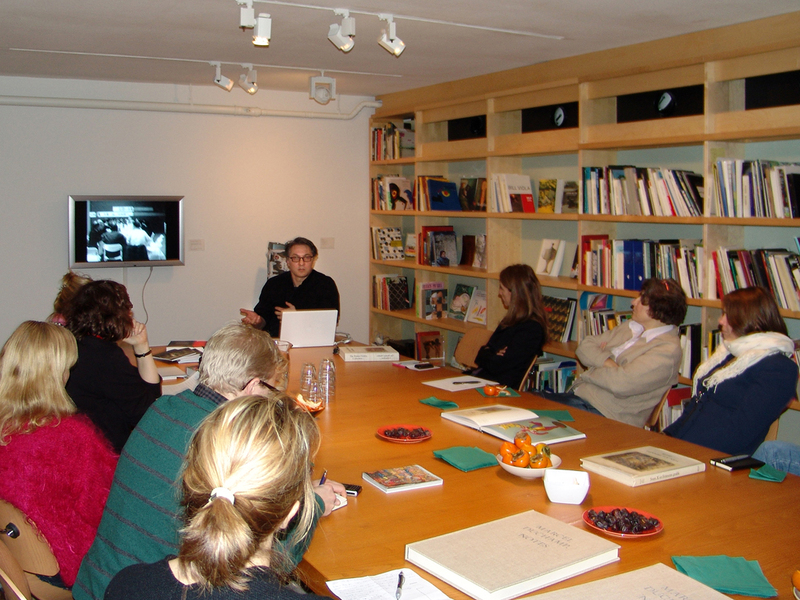 Lecture organized by Stevan Kojic. 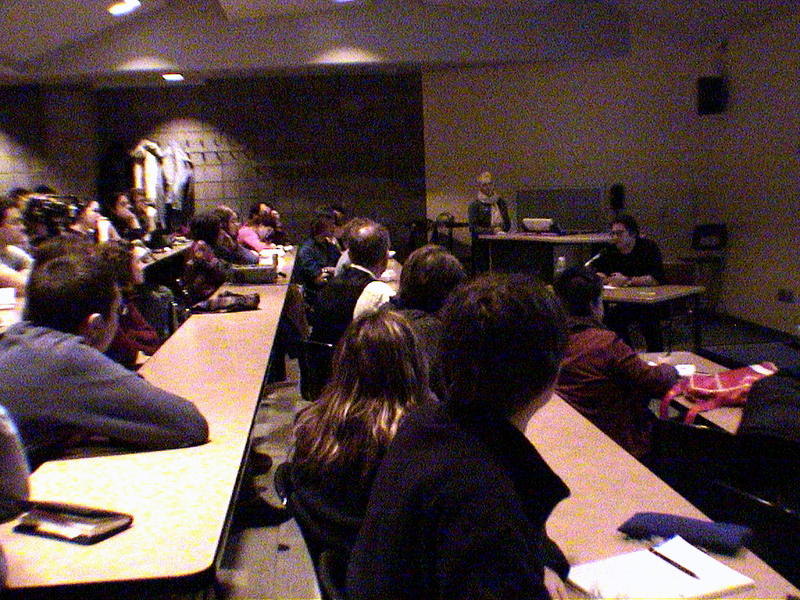 In: The New Media Department at The Academy of Arts. 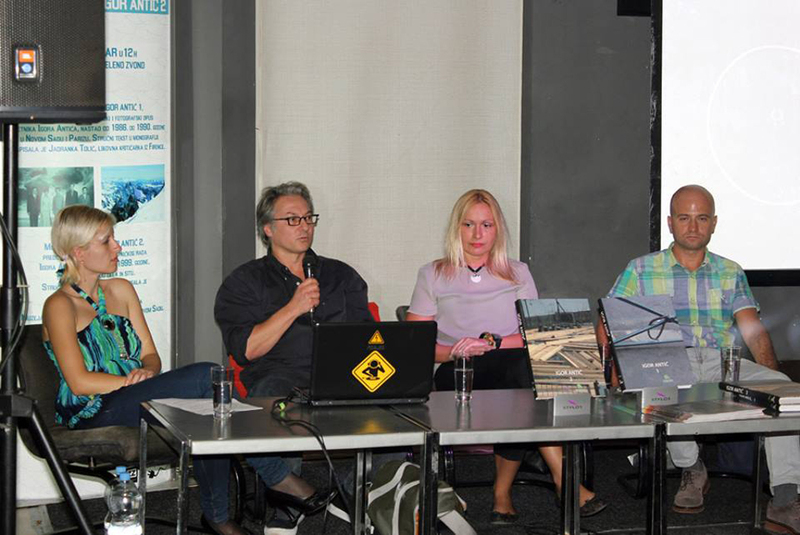 Novi Sad, Serbia. 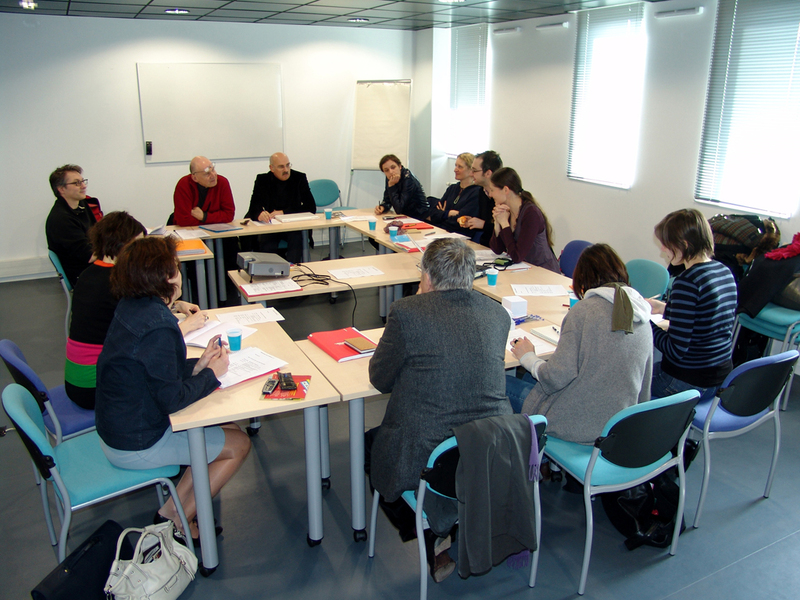 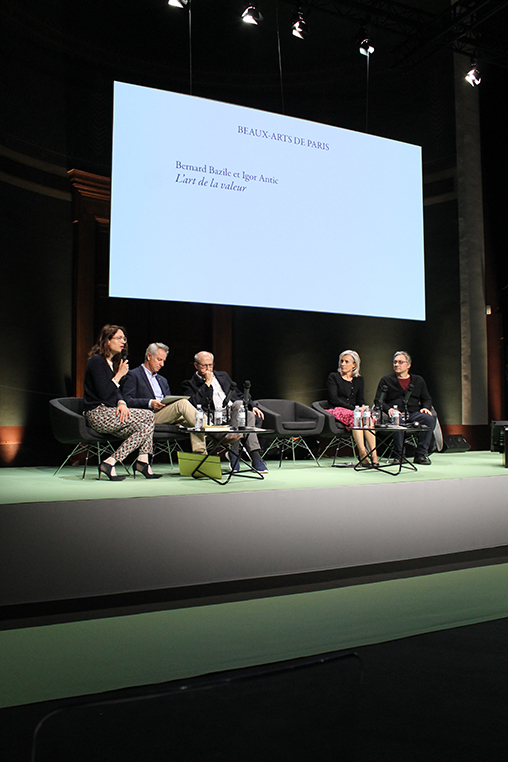 The MOST round table organized by Emilie Reinhold. 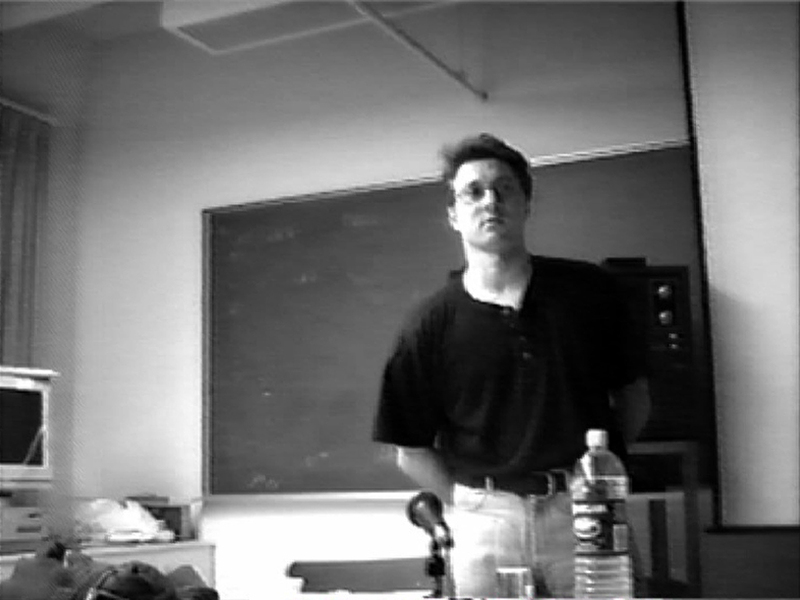 Lectures by Igor Antić, Alain Bernardini and Collectif 1.0.3. 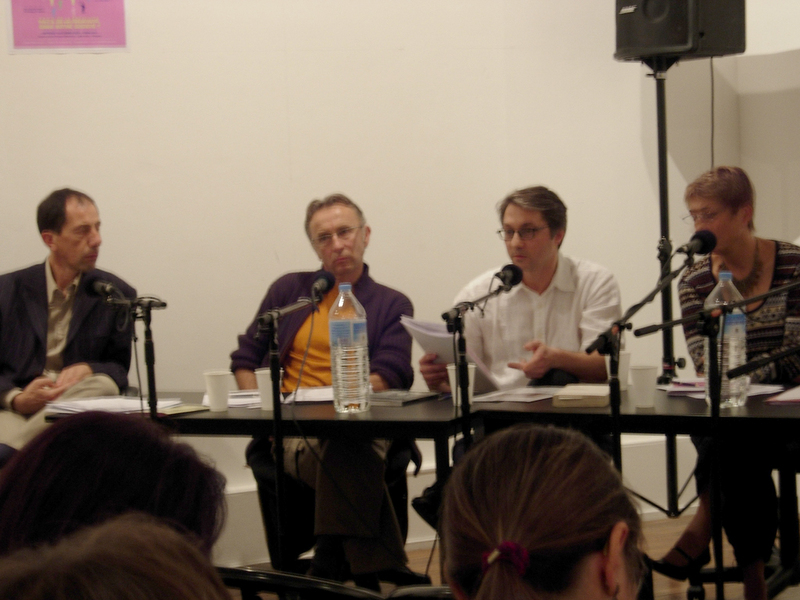 Lecture by Elisabeth Couturier & Clément Dirié, with contribution by Igor Antić. 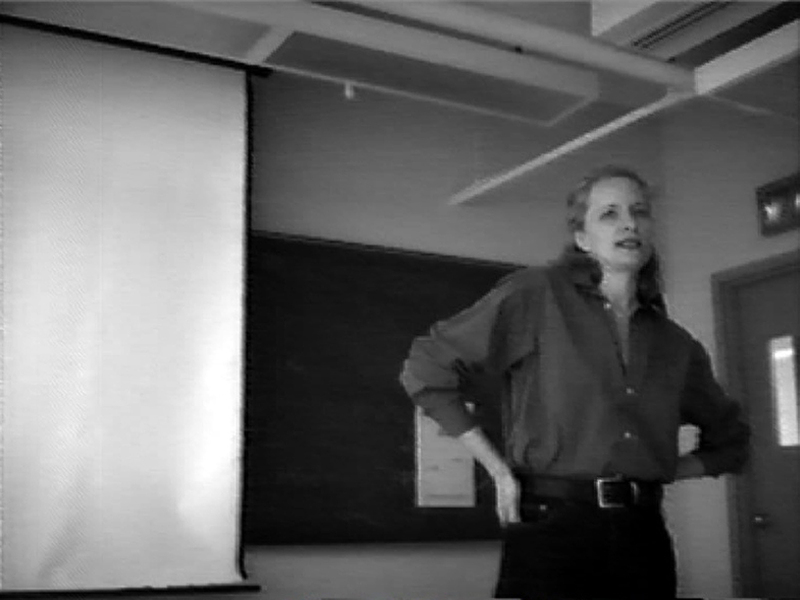 Lecture by Elisabeth Couturier, with contribution by Igor Antić. 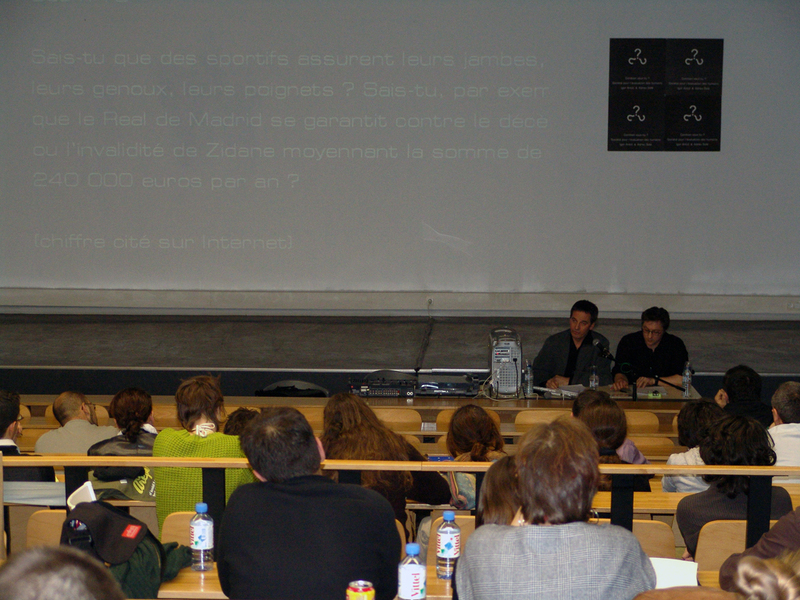 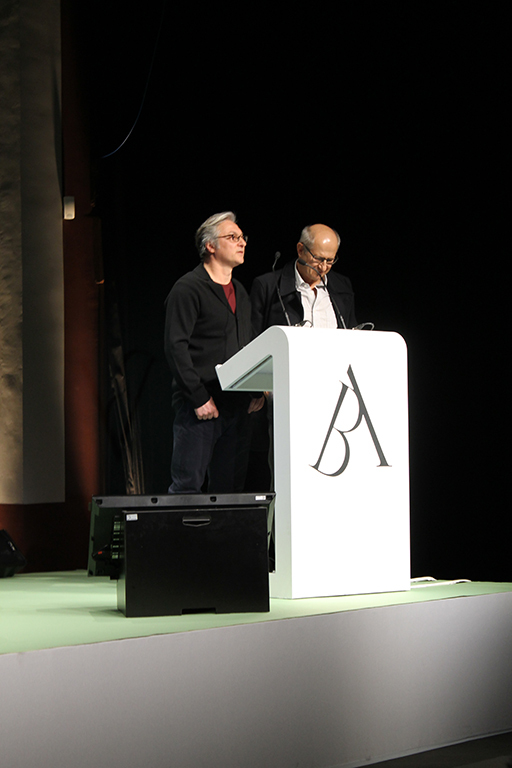 Lecture by Igor Antić & Stéphane Corréard. 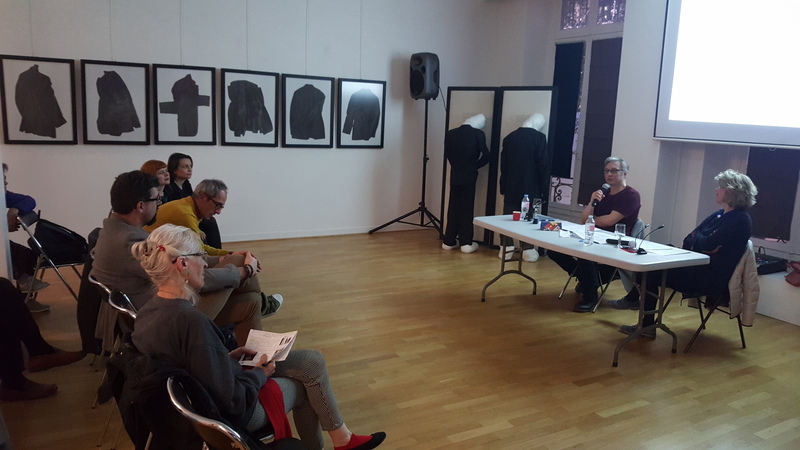 Igor Antić – The presentation of work. 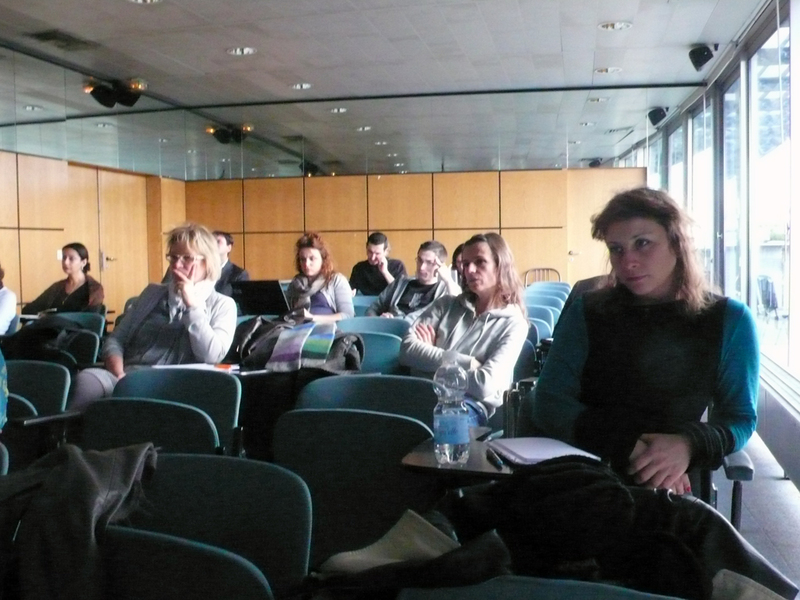 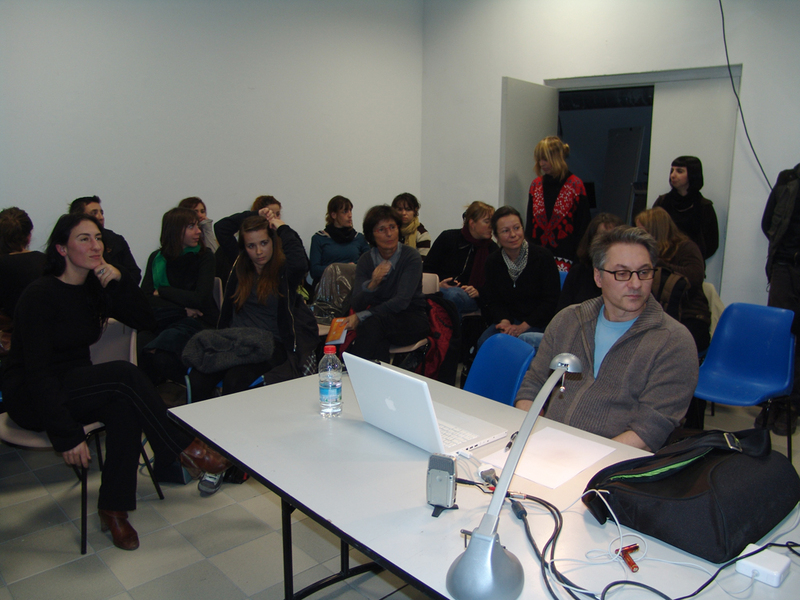 The Workshop followed by the lecture Lieu dificile, by Igor Antić. 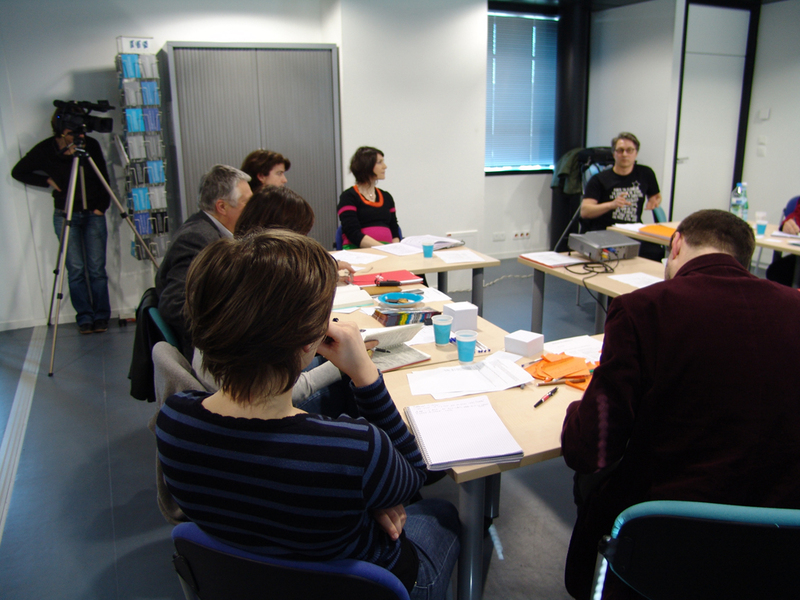 Organized by Elsa Mazeau & Philippe Fangeaux. 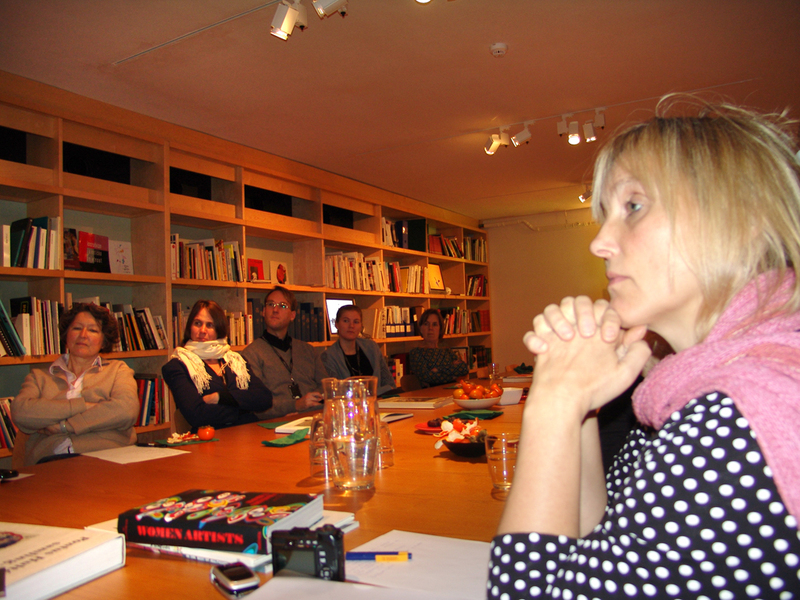 November 30th – December 3rd, 2009. 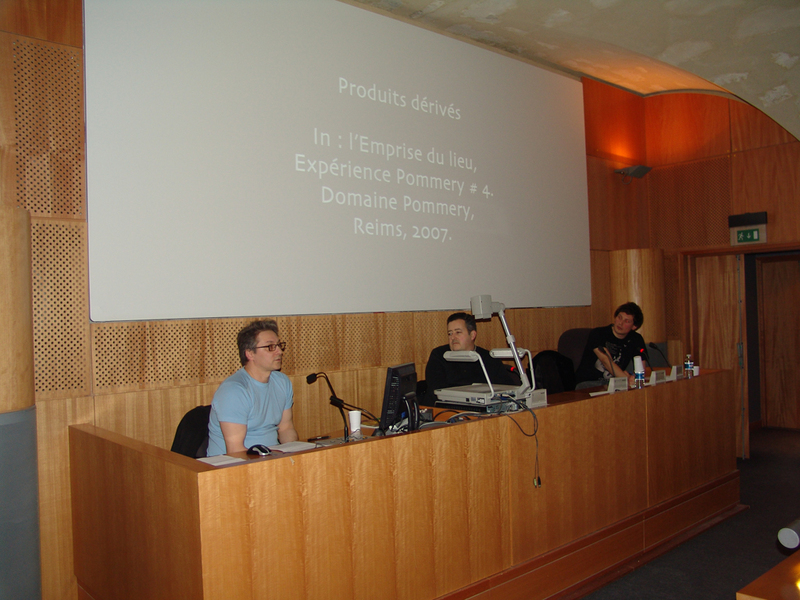 Within a framework of the Générateur de problèmes by François Deck. 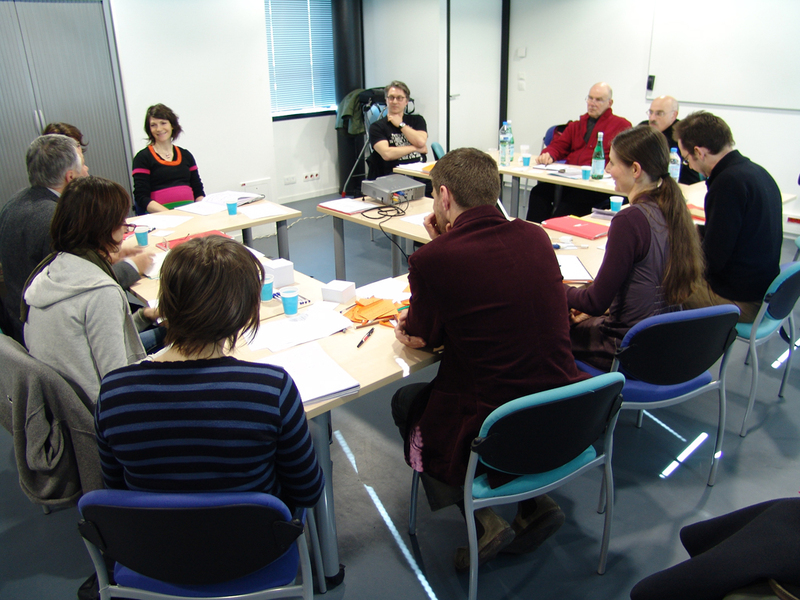 Gwenn Pacotte, Patricia Perdrizet, Marie Reinert, Nathalie Travers, Alexandra Chopin, Marie Fampier, Claire Daudin & Marie Voignier. 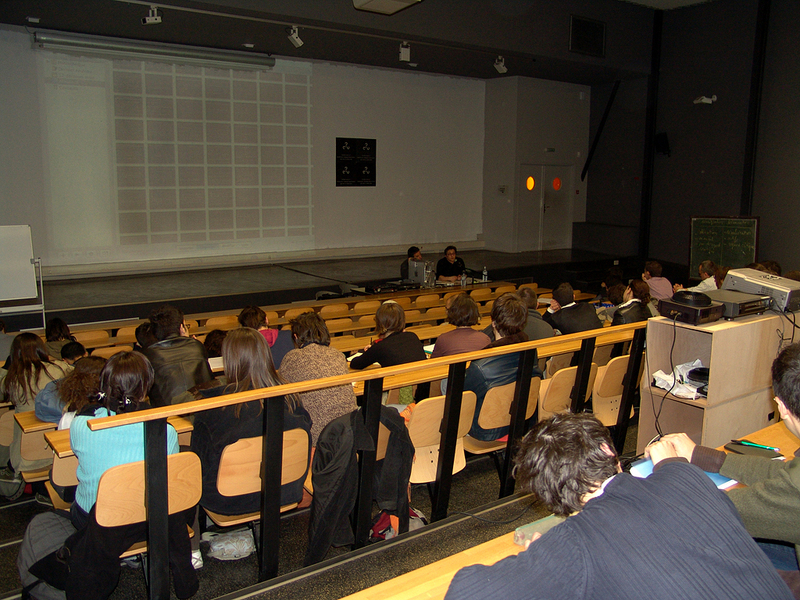 In: 4bis (Espace jeunes), Rennes, France. 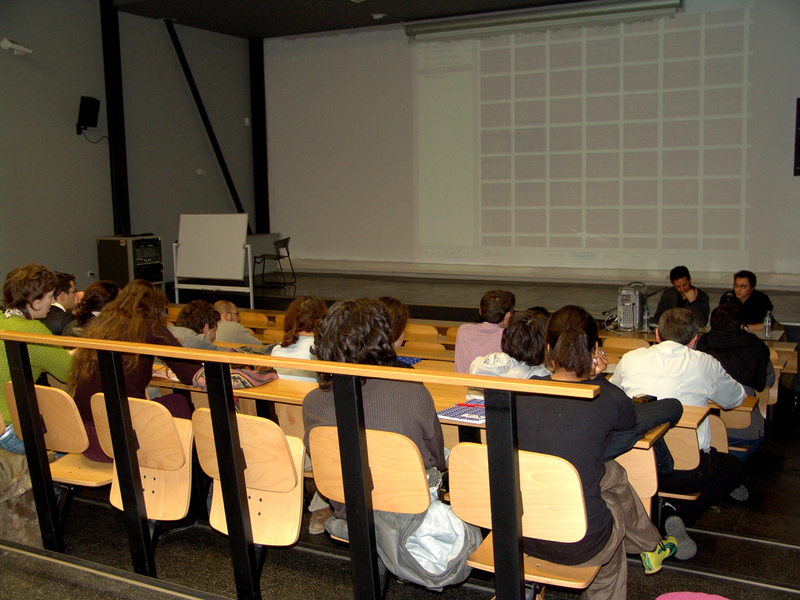 Lecture by Igor Antić & Jean-François Pinot. 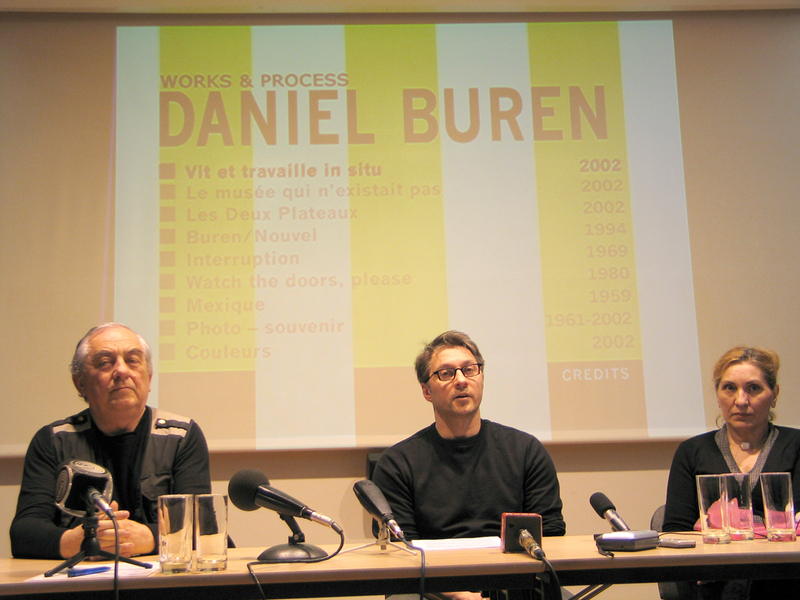 Within a framework of the The Rennes Biennial. 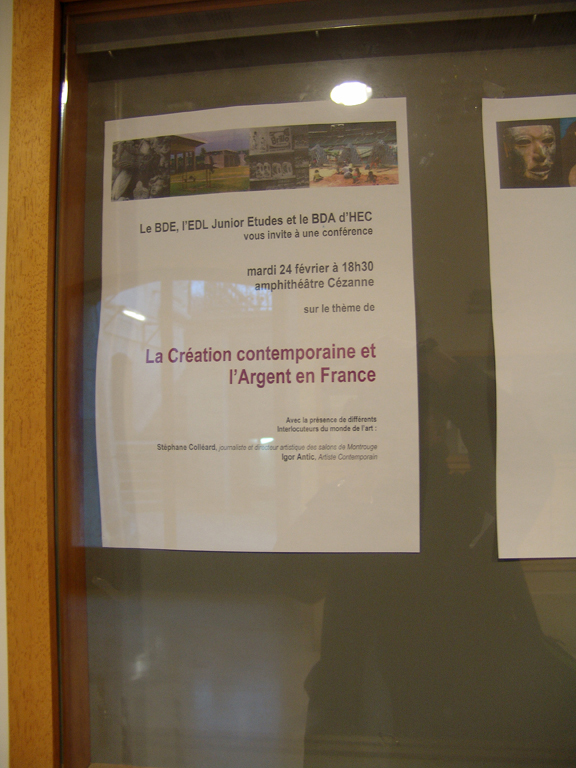 In: Ecole des Beaux-arts de Rennes, Rennes, France. 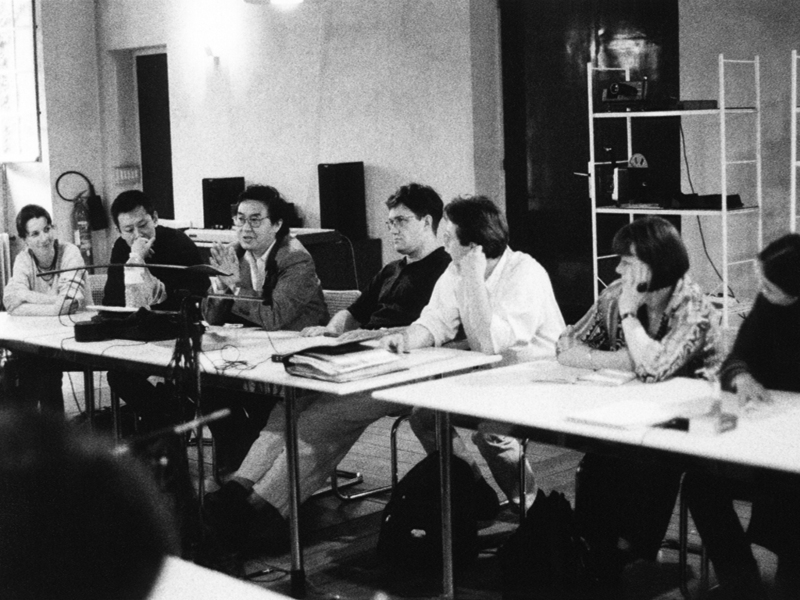 With Igor Antić, Jean-Pierre Burdin, Collectif Au Travail / At Work, courants faibles, François Deck, Julien Eymeri, Laurent Jeanpierre, Maurizio Lazzarato, Pascal-Nicolas Le Strat, Accès Local (Philippe Mairesse), Chantal Pontbriand, Henrik Schratt and others. 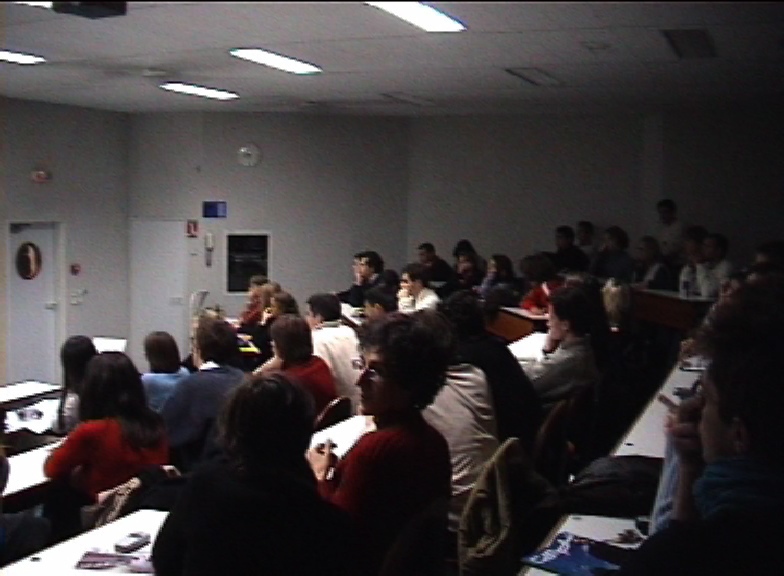 In: Faculté des Sciences Économiques de l’Université Rennes 1, Rennes, France. 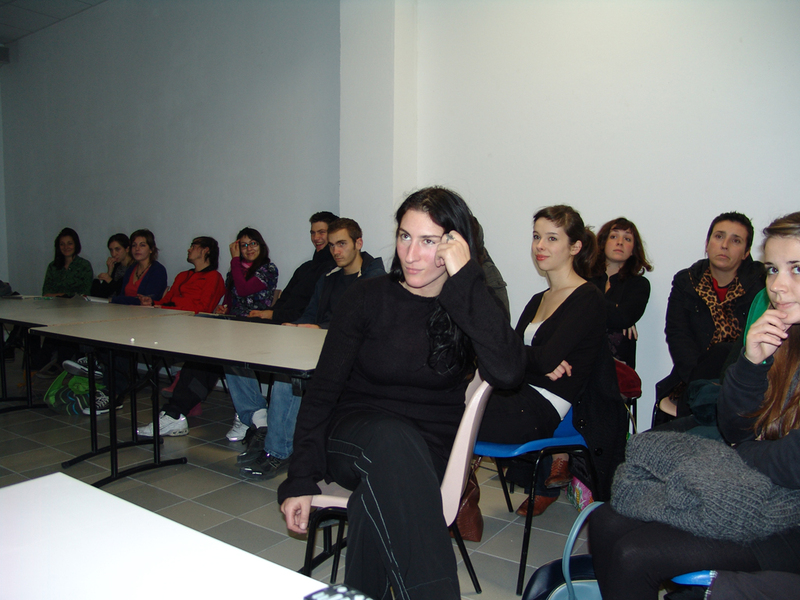 Within a framework of the IASPIS Artist in residency program. 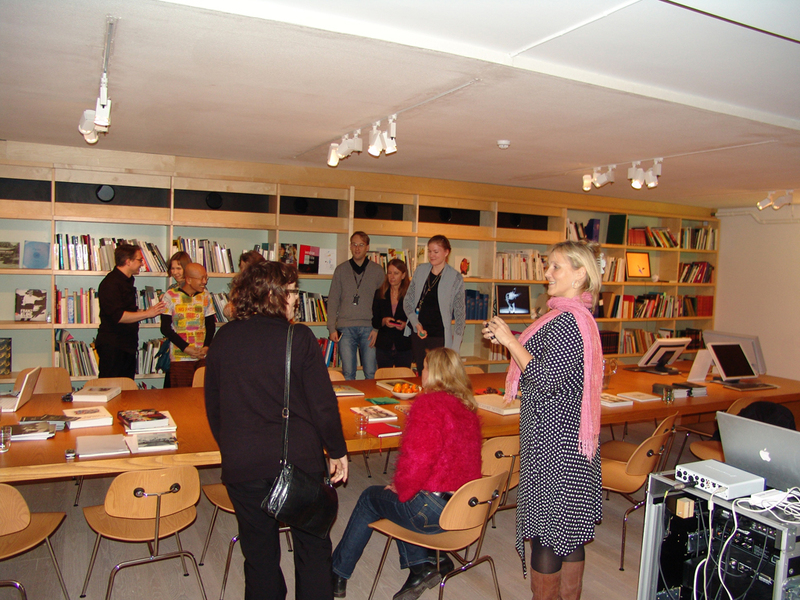 In: The Pontus Hulten’s Study Gallery, Moderna Museet Stockholm, Sweden. 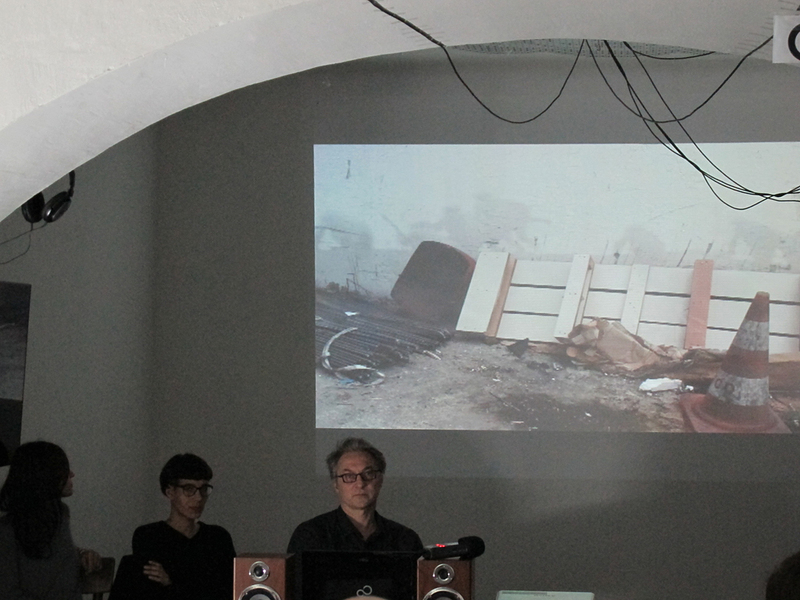 A company estimating human value. 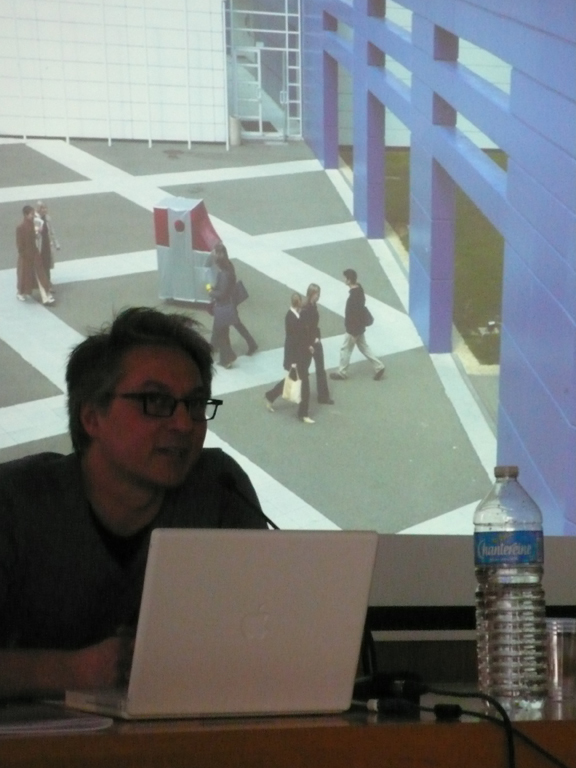 Lecture by Igor Antić & Andreu Solé. 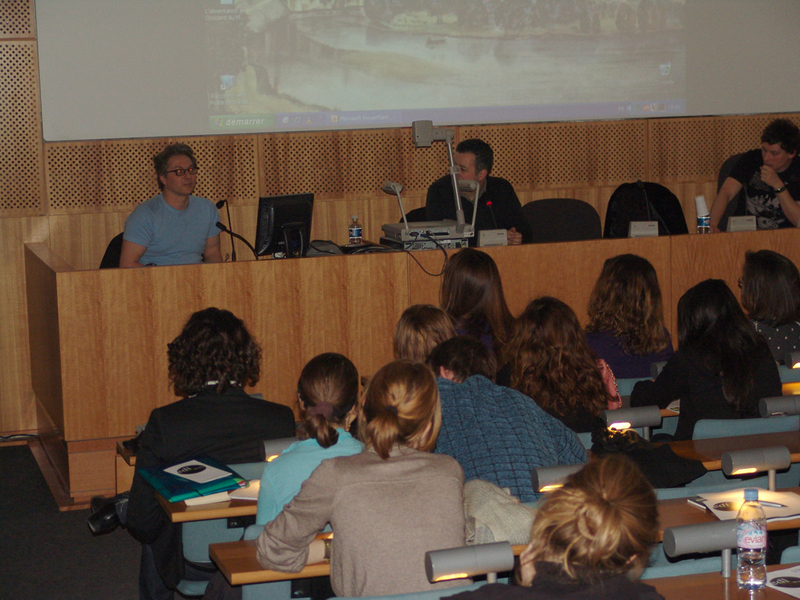 In: The SIANA colloquium, INT, Evry, France. 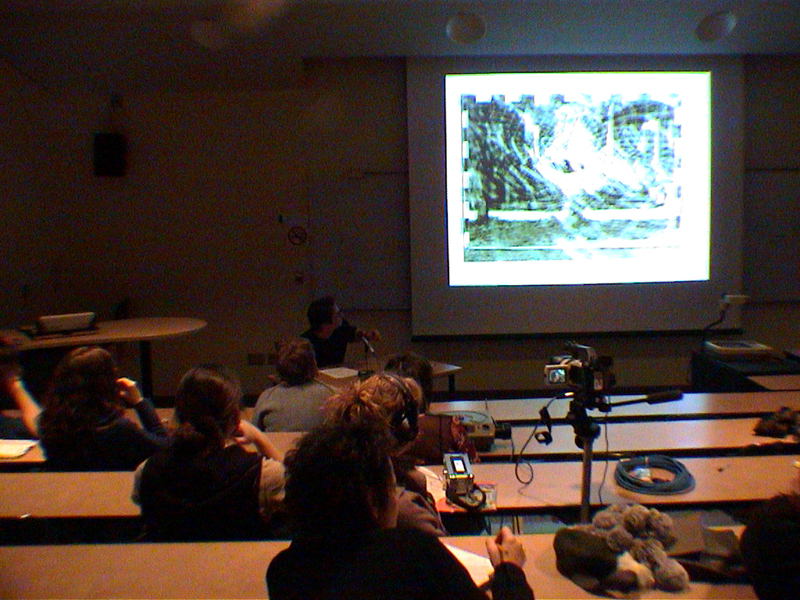 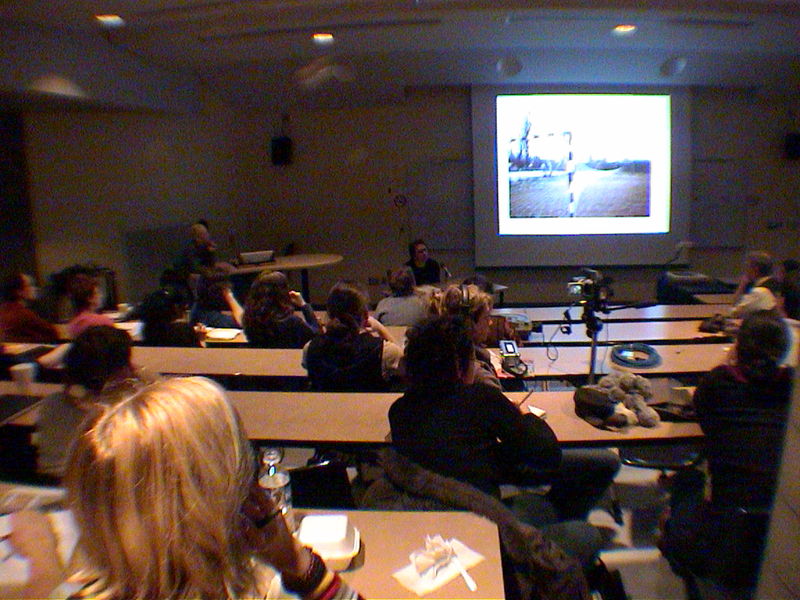 Lecture by Lise Pannier de belle Chasse & Igor Antić. 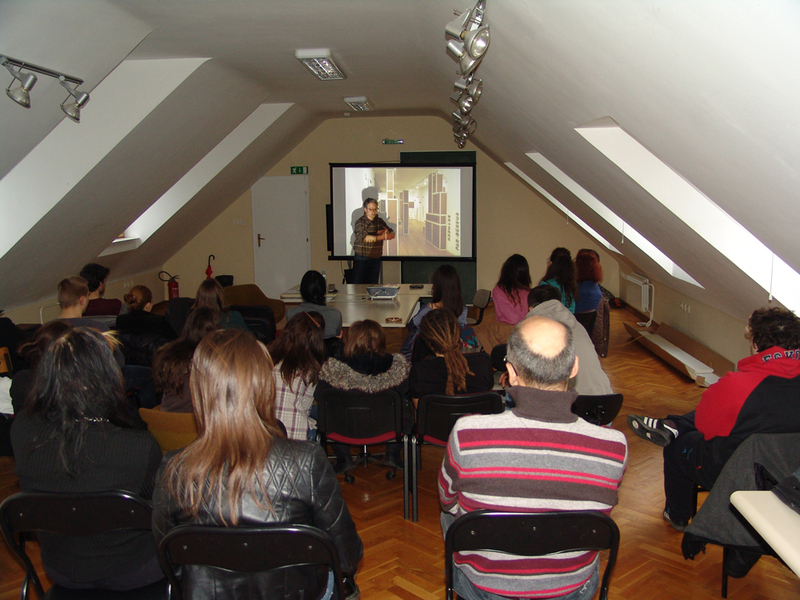 In: The Youth club, Novi Sad, Serbia. 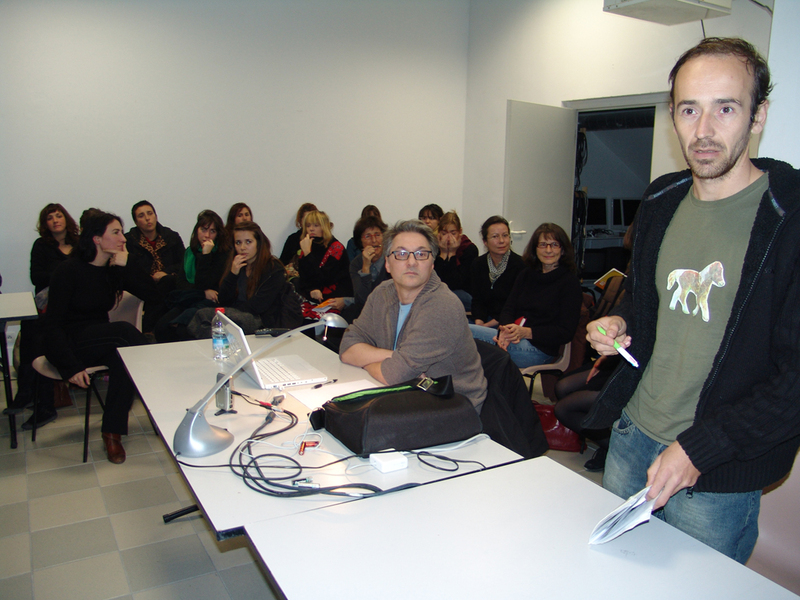 In: The French Cultural Centre, Novi Sad, Serbia. 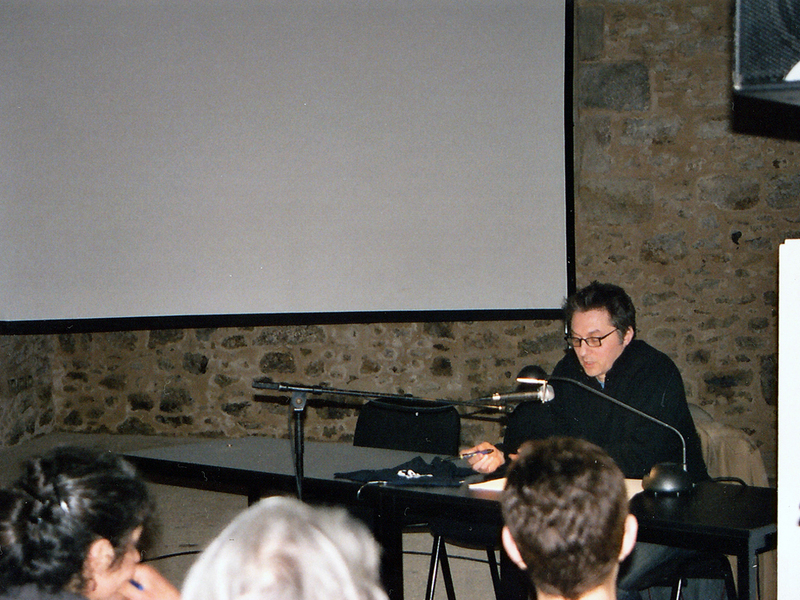 Lecture by Igor Antić, Pablo Sobrero & Andreu Solé. 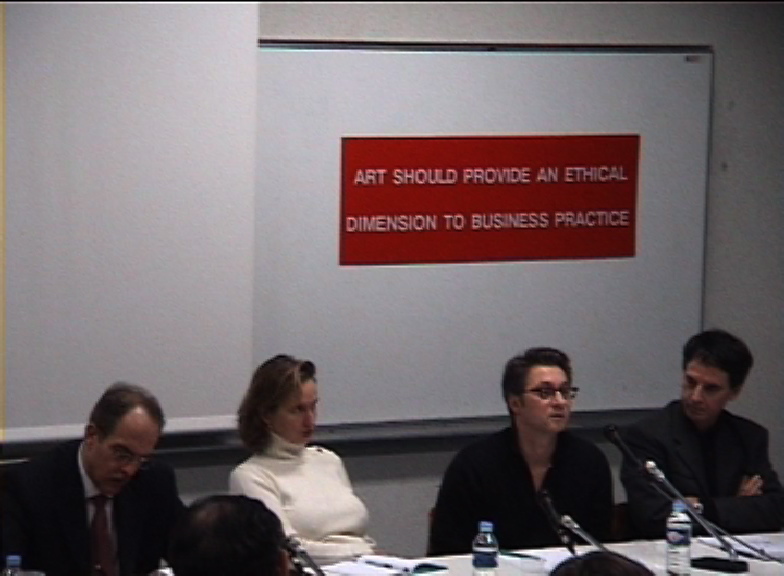 Do the values exist out of our imagination? 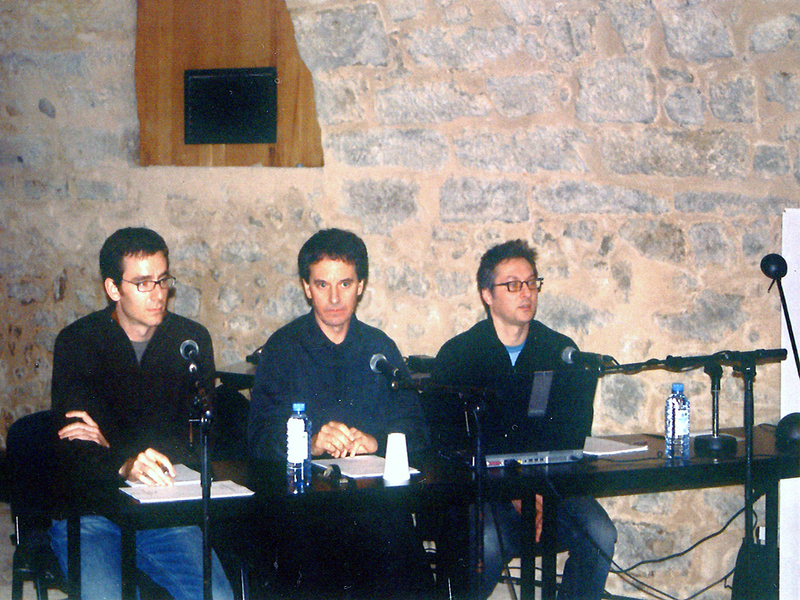 With Igor Antić, Andreu Solé & Jean-Marie Courant. 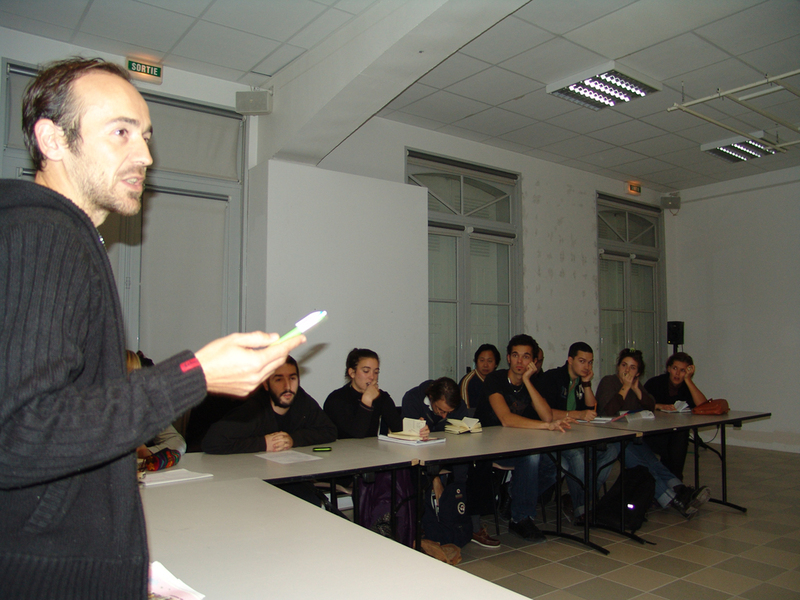 Moderator: Emmanuel Tibloux. 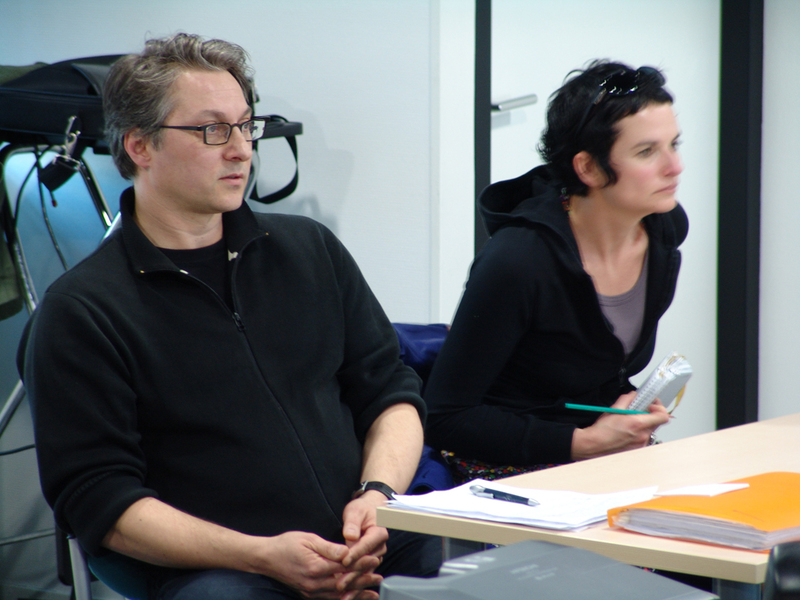 Organized by Annick Lantenois & Veit Stratmann. 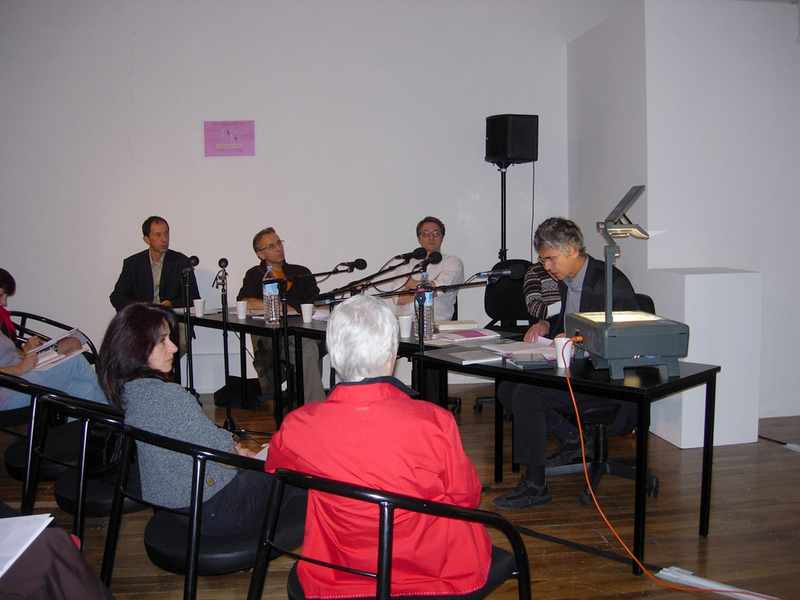 Within a framework of the Values exhibition. 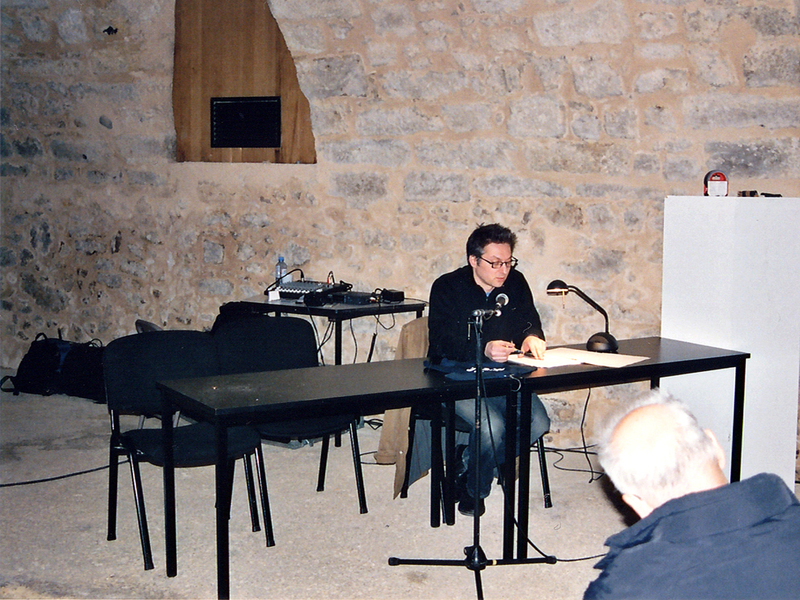 In: Paradis, The Verbale gallery, Périgueux, France. 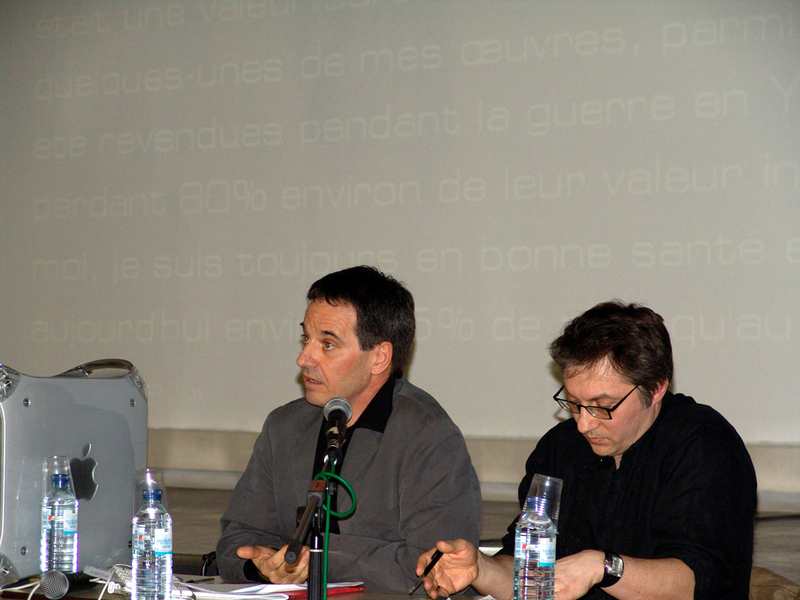 Hervé Nunez, Jean-Michel Genese & Marie Doria. 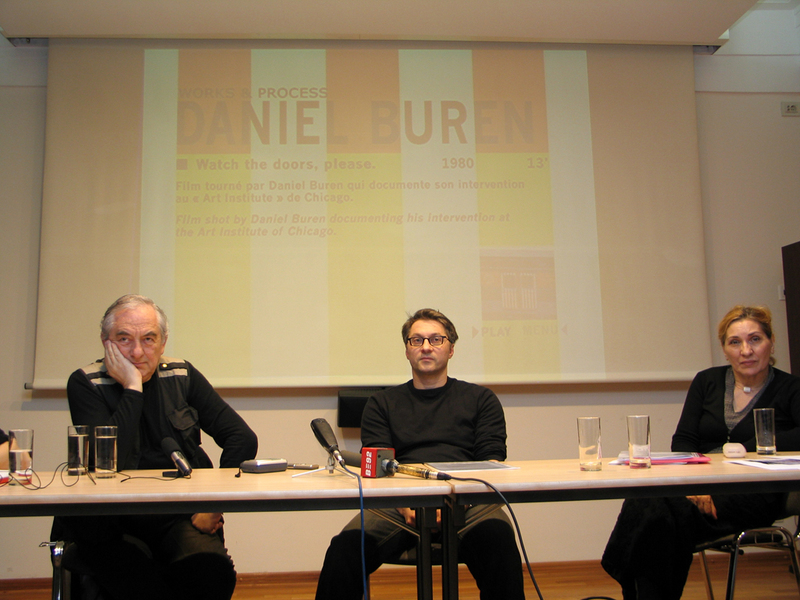 Participants: Igor Antić, Daniel Buren & Svetlana Mladenov. 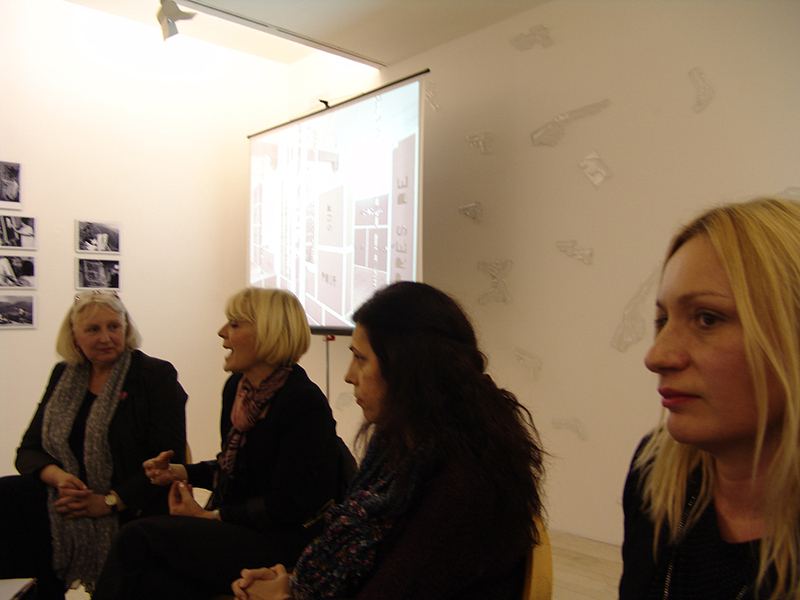 In: The French Cultural centre, Belgrade, Serbia. 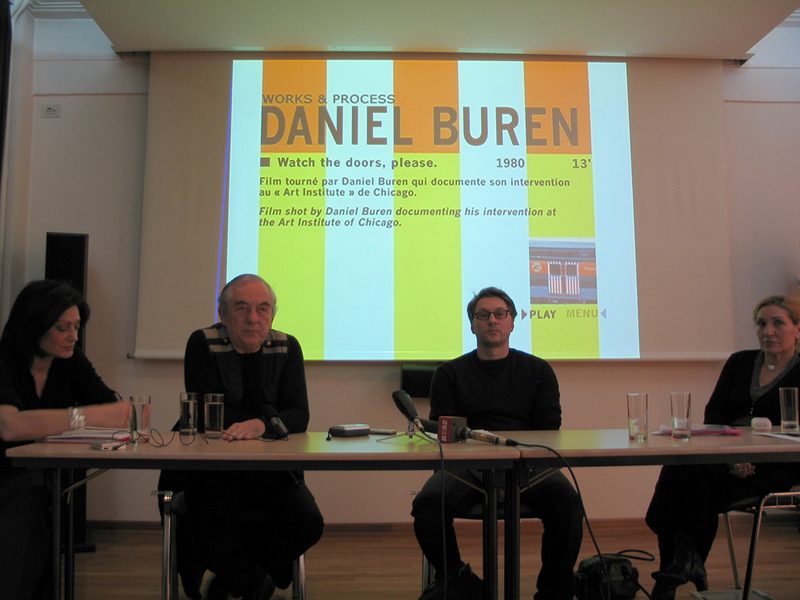 Lecture by Igor Antić, Bernard Zurcher & Pierre Folacci. 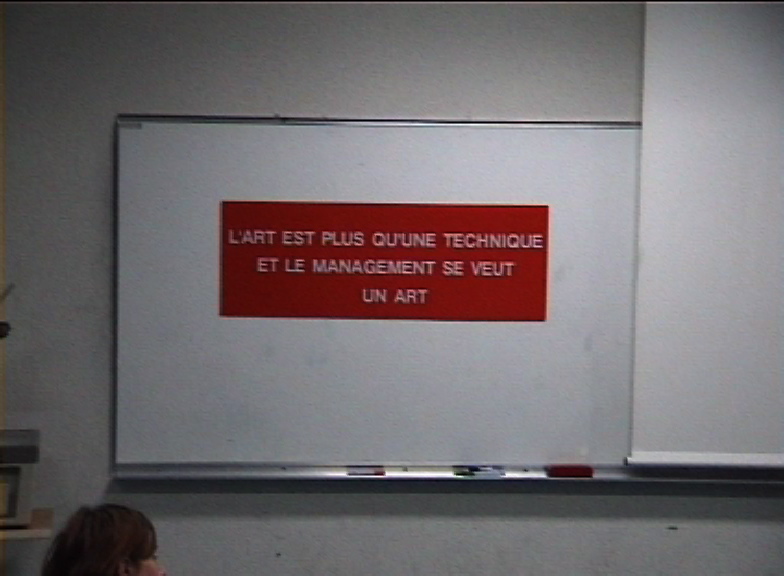 & Majeure Art et culture. 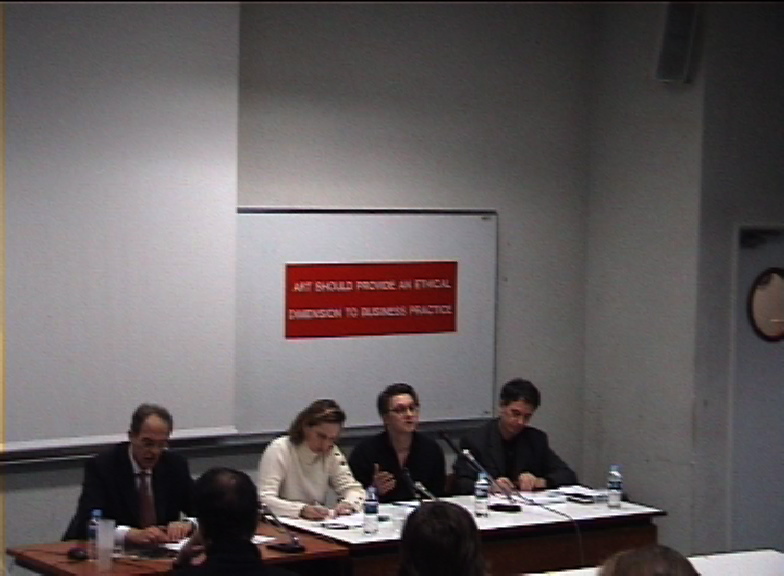 Lecture by Igor Antić, Pierre Folacci, Andreu Solé & Valérie Bobo. 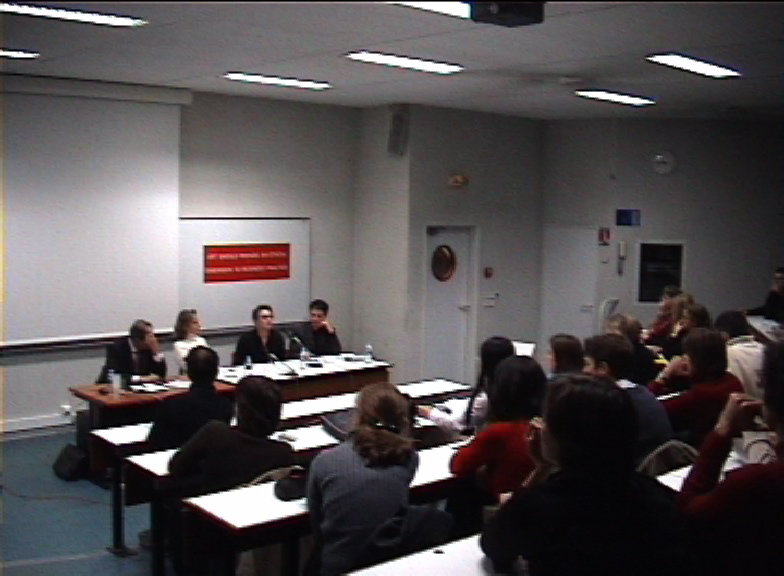 Organized by Espace d’art contemporain HEC & Anne-Valérie Delval. 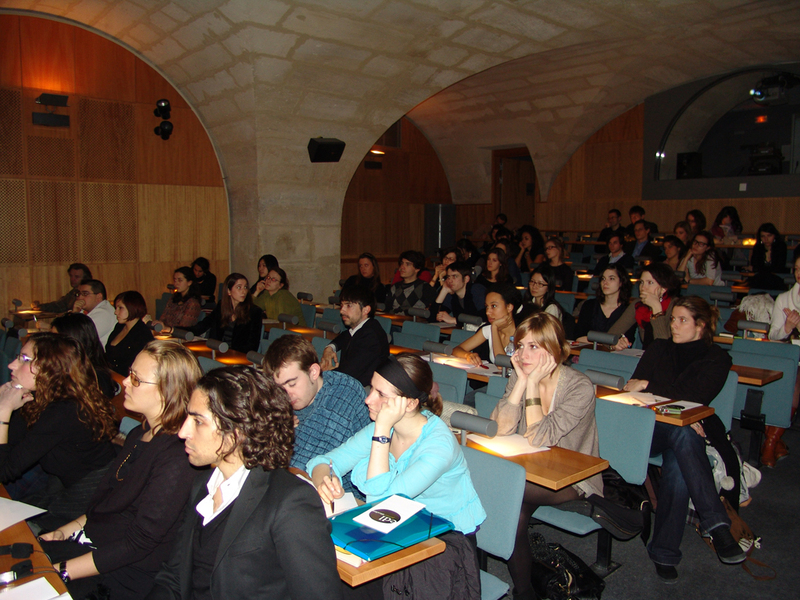 Colloquium organized by André Rouillé. 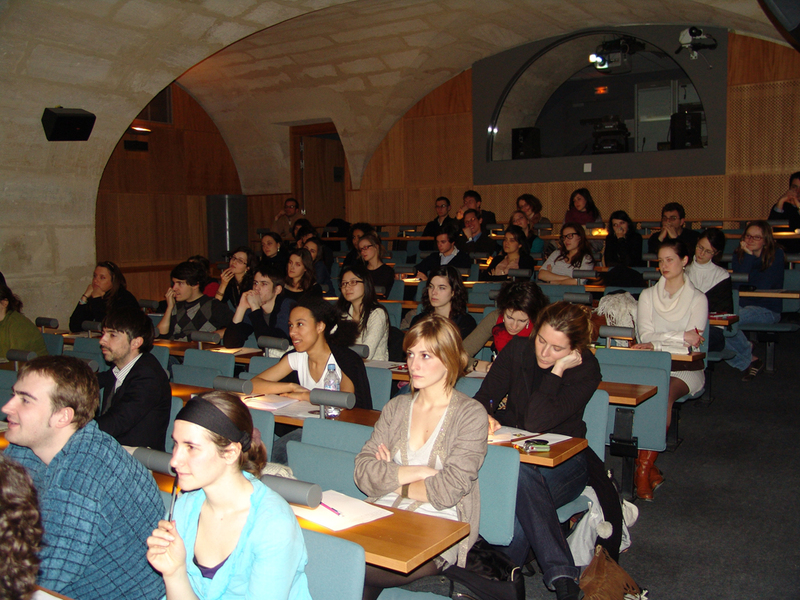 In: Chapelle de la Sorbonne, The Louis Liard Amphitheater, Paris, France. 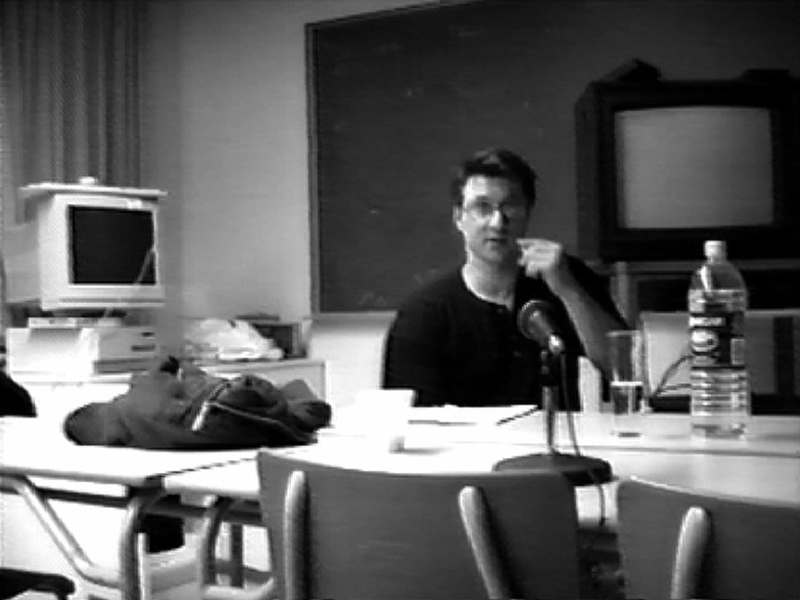 October 9th – 10th, 2002. 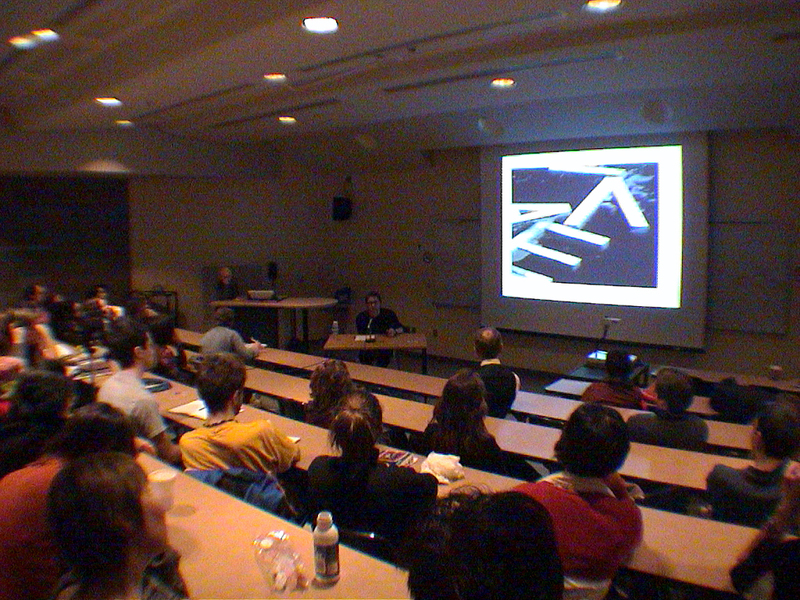 Ecole des arts visuels de l’Université Laval, Quebec, Canada. 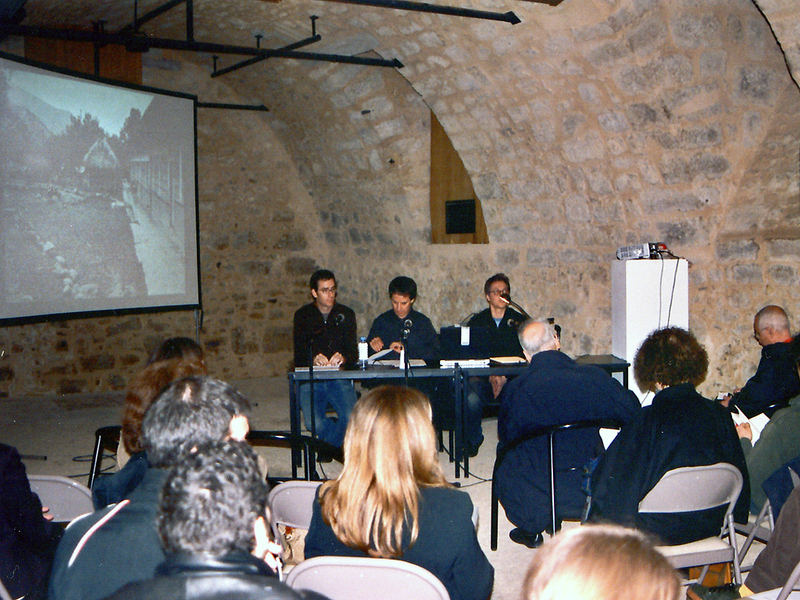 Lecture by Katarina Ambrozic, Igor Antić, Mileta Prodanovic & Zoran Vukovic. 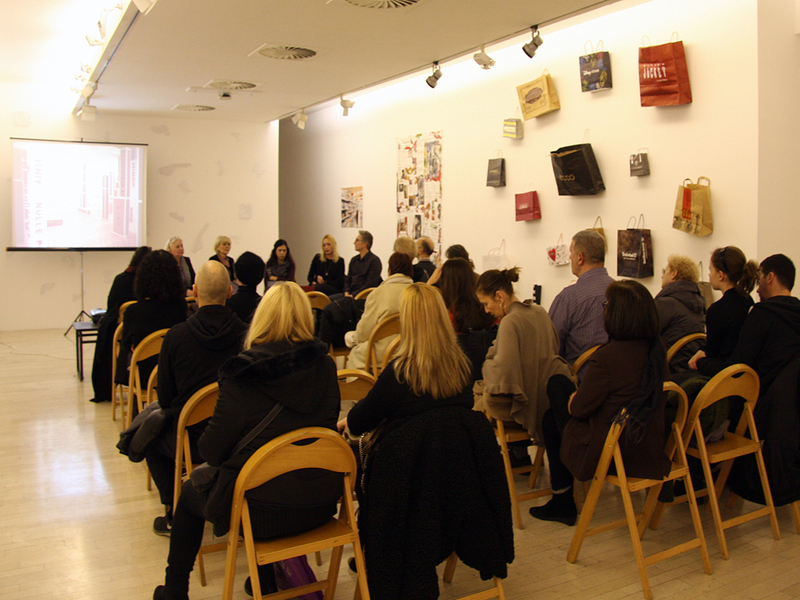 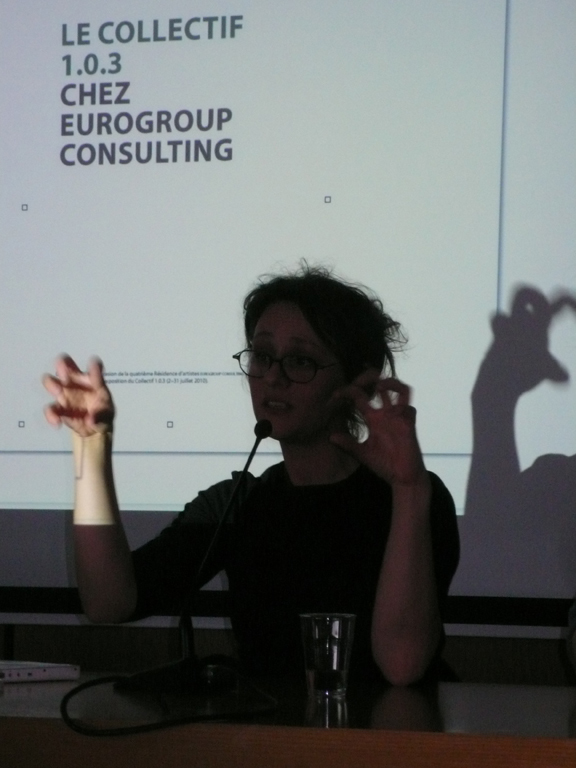 In: The AICA Belgrade seminar, The popular library of Serbia, Belgrade, Serbia. 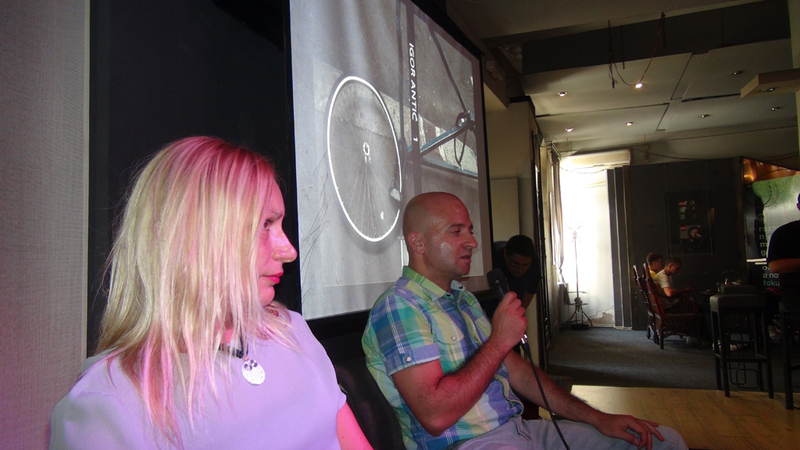 Experience of “Pokret”. 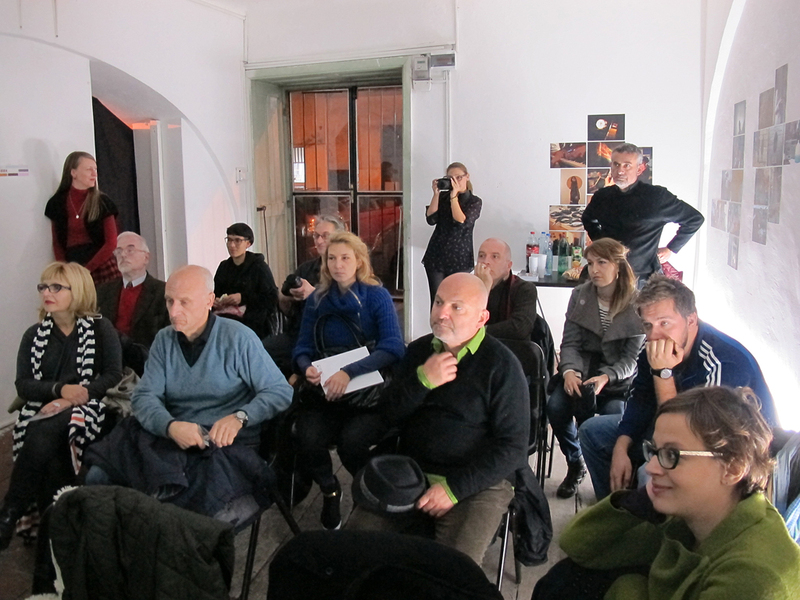 After the model of the Institute, in Novi Sad, Yugoslavia, Serbia. 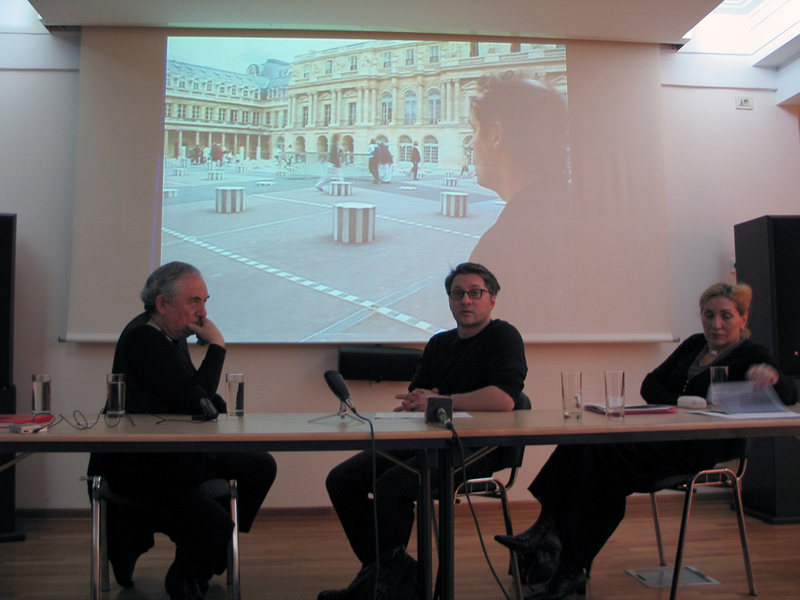 The round table with Igor Antić, Chen Zhen & Veit Stratmann. 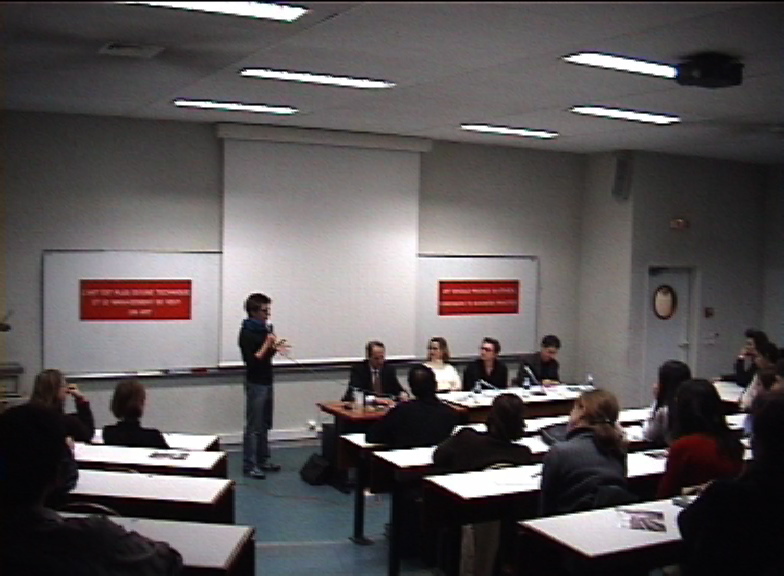 In: University Paris 8, Saint-Denis, France. 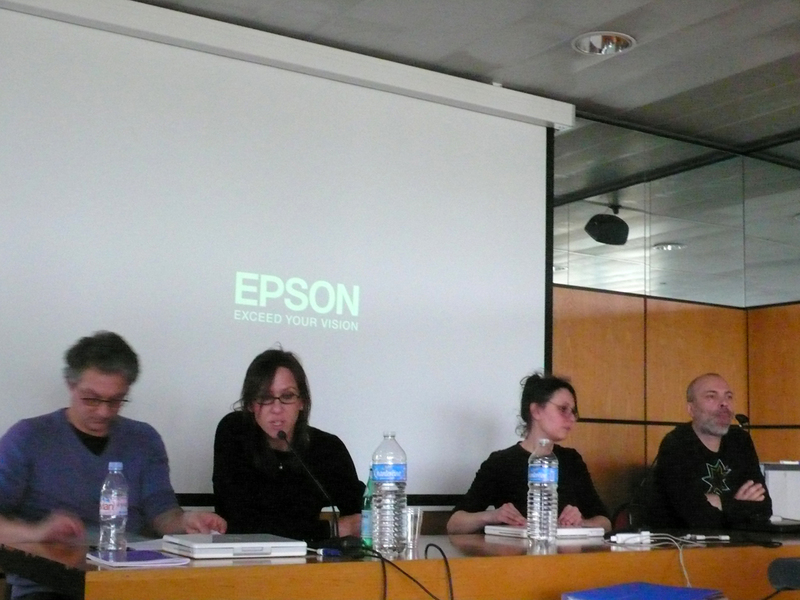 Lecture and the book promotion by Igor Antić, Kosta Bogdanovic, Jesa Denegri & Stevan Vukovic. 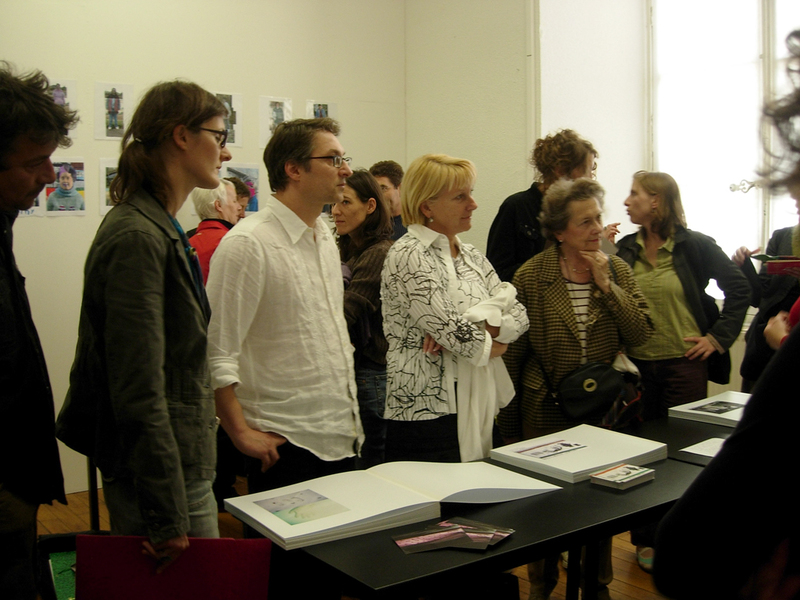 In: The Gallery of the Belgrade Cultural centre, Belgrade, Serbia. 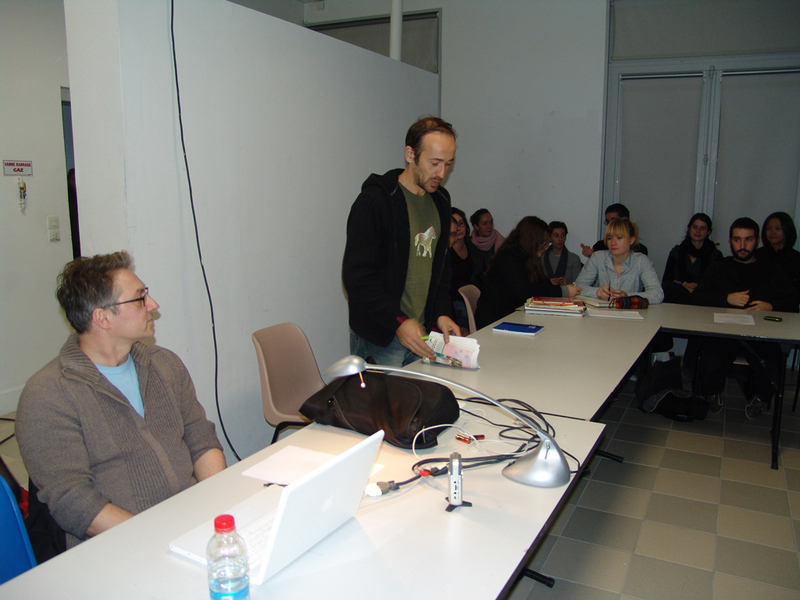 Lecture and the book promotion by Igor Antić, Nenad Ostojic & Zoran Pantelic. 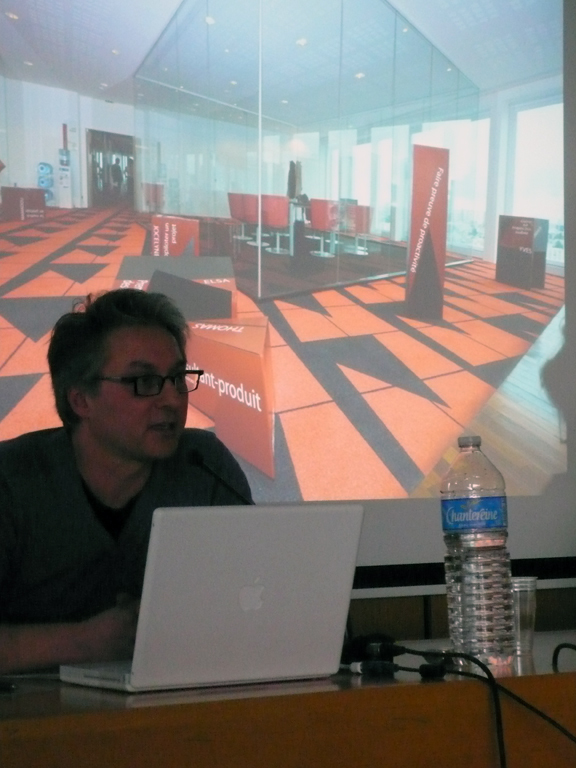 In: Faculty of philosophy, The Futura printing office, Novi Sad, Serbia.